Discussion in 'TMO General Discussion Forum' started by 50Deep, Nov 17, 2017. Well, it is official. I am finally on board as a representative for Signature Wheels and DCT Motorsports. 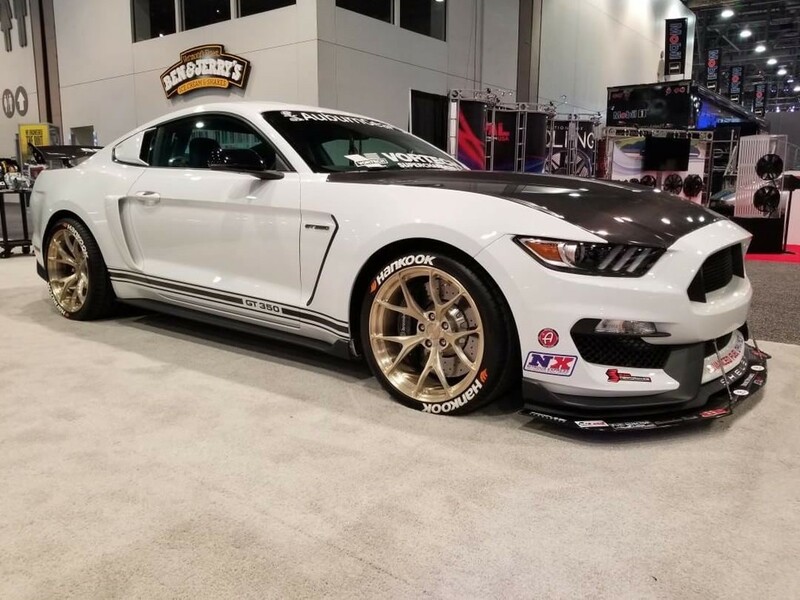 I had the pleasure of meeting with several members of the Signature team at SEMA as was graciously offered an opportunity to head up the Mustang sales of their product line. After hearing what they were about, the focus on customer service, and desire to remain affordable I gladly accepted. Check out the web page to see the full product line and pricing. 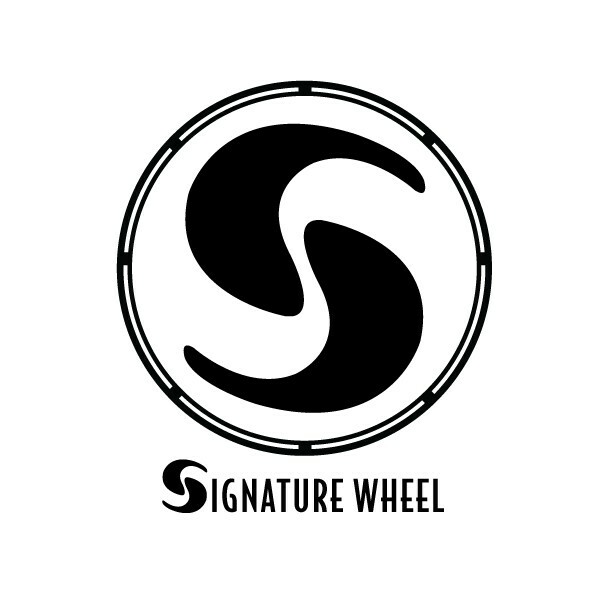 www.Signaturewheel.com Background Signature is a newer brand of wheel company, but the owner Eric has experience in the industry with previous brands. 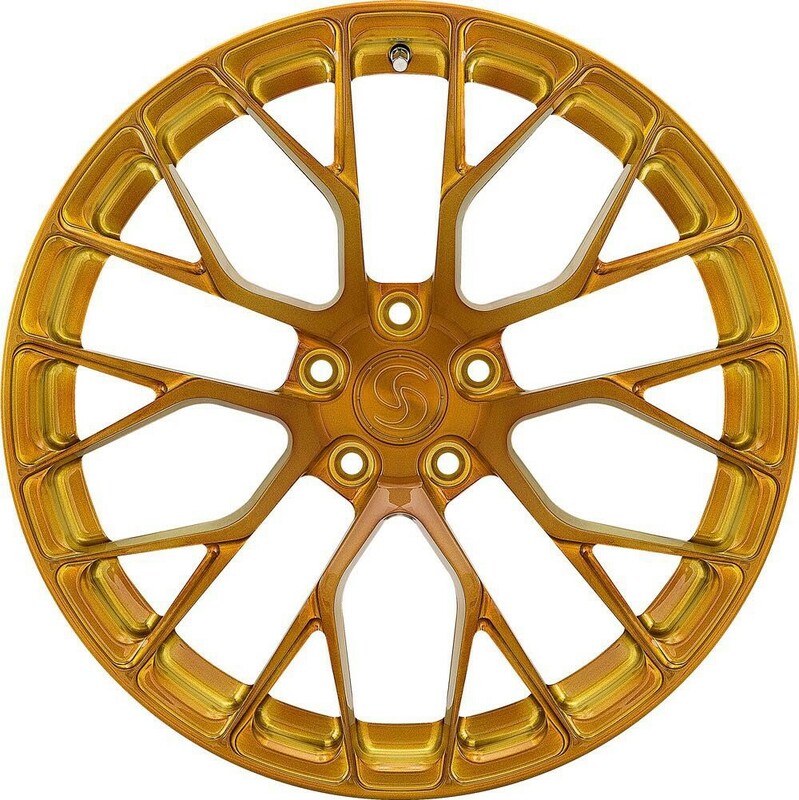 Signature was launched and is one of the fastest growing fully forged wheel brands in the market. 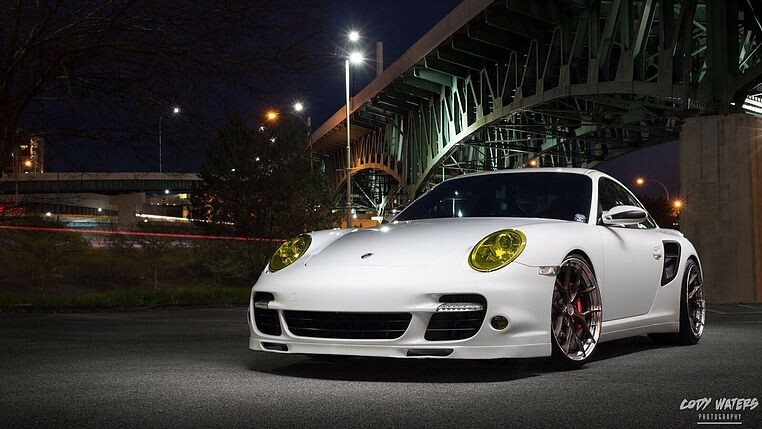 The company is full of enthusiasts from Porsche, Lamborghini, Mustang, GM, and more. 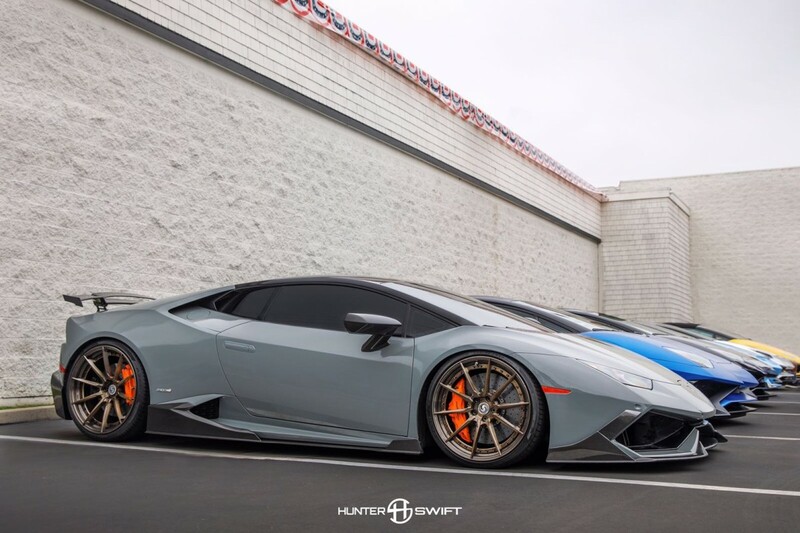 All of the reps for the company are based here in California where the wheels are designed. The beauty of the business model for me as a representative is that I am the direct line from the consumer to production. I have no shop space or fees to pass onto you guys. No other intermediaries, no additional overhead, no need to charge extra money. Orders are placed, submitted, built, and shipped direct to you. This keeps our pricing low and makes us very competitive. 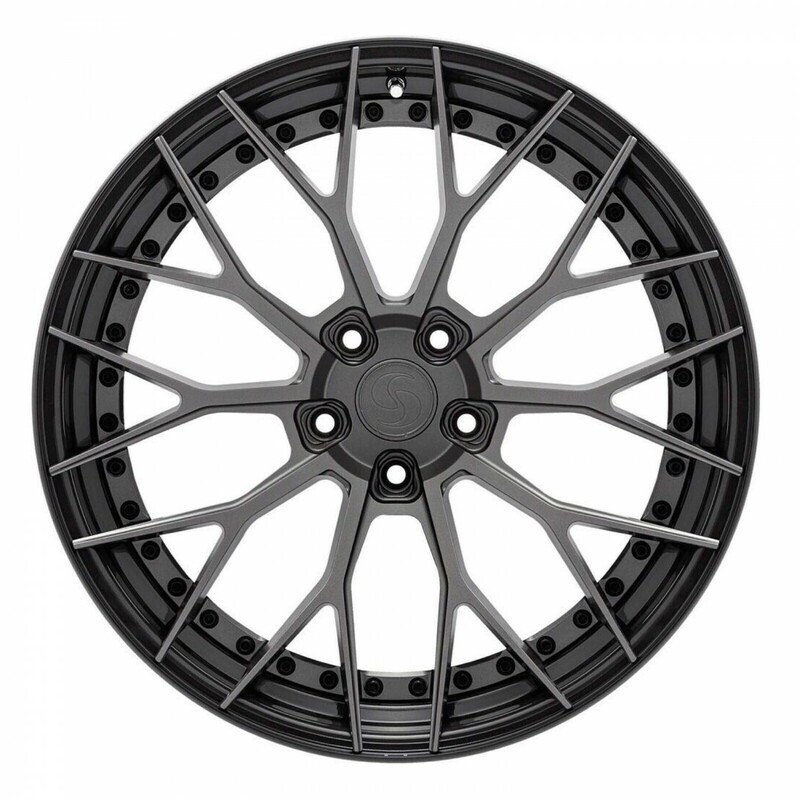 The goal here is to provide the highest quality of wheel to our customers at a reasonable price. 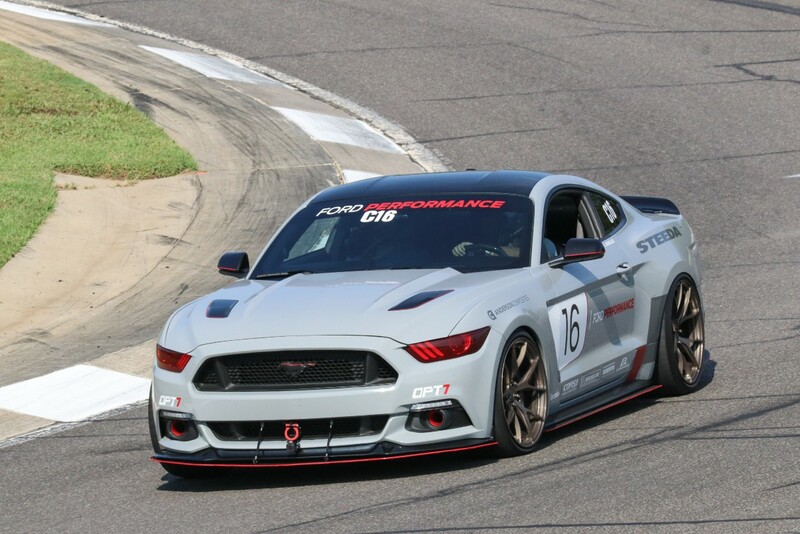 Particularly in the Mustang scene I want to see fully forged and lightweight wheels on our platform without you guys having to break the bank. 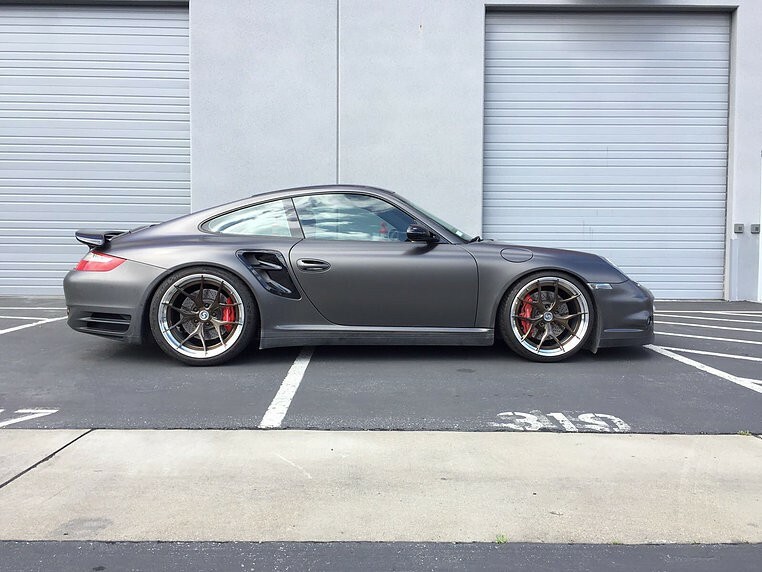 Up to now I have had experience with several wheel companies on my personal cars, and other enthusiasts. I have been disappointed many times by what the market provides to us. Either a wheel with poor construction and finish at a low price, a wheel that was too expensive for the average owner to buy, or less than modern (and heavy) designs at a reasonable price. 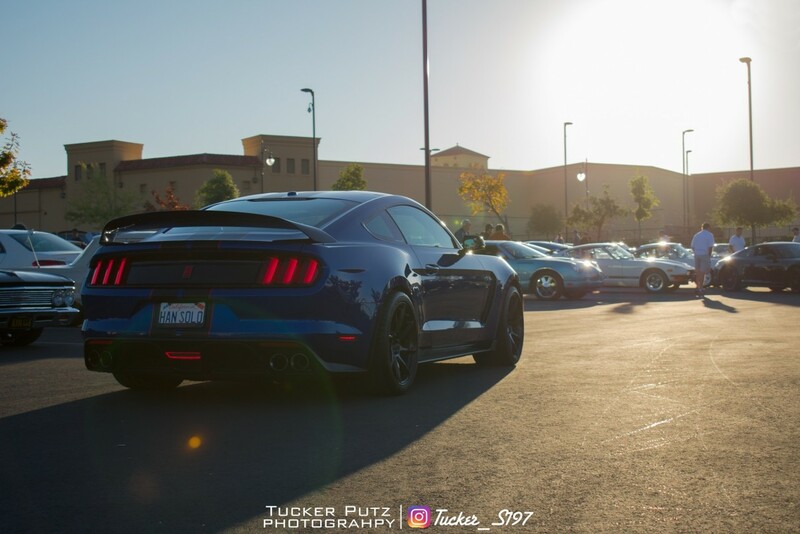 One thing I hated was going to a car show and seeing a bunch of cars all running the same wheel. 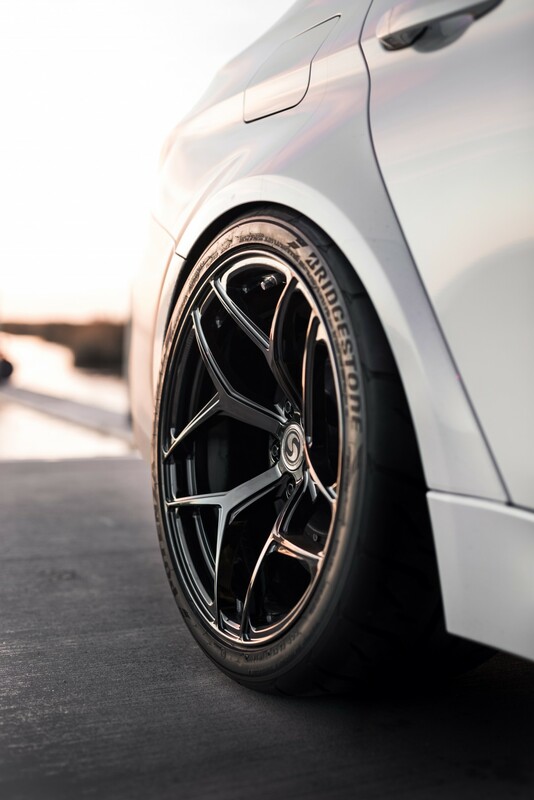 Our wheel line continues to grow as we come up with new designs, and are open to hear from consumers about what they want. 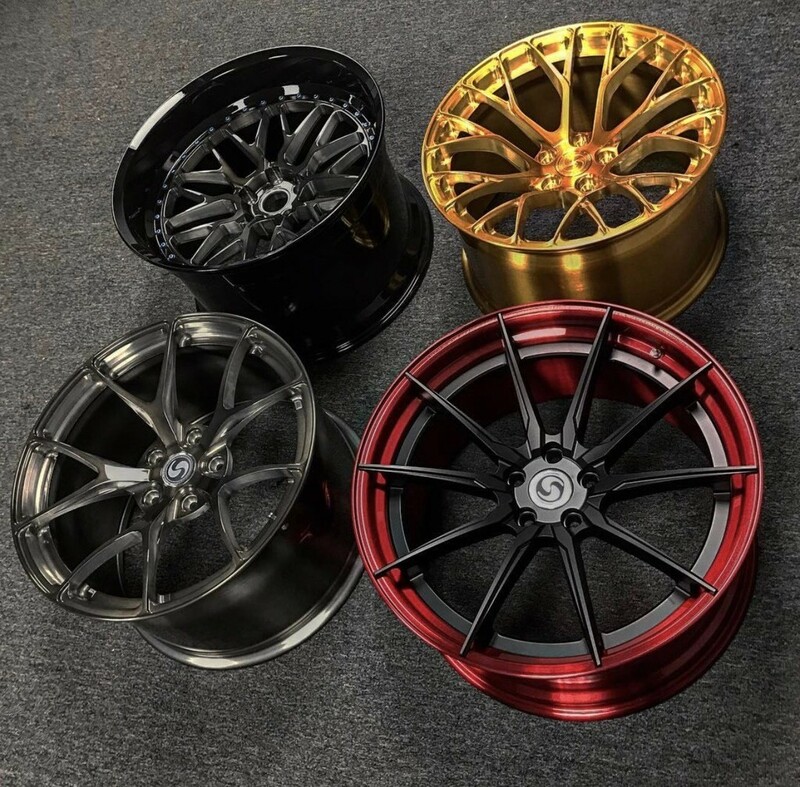 Development of unique designs and offering a wide array of finishes is a must, especially since we all have Signature Wheels on our own cars. 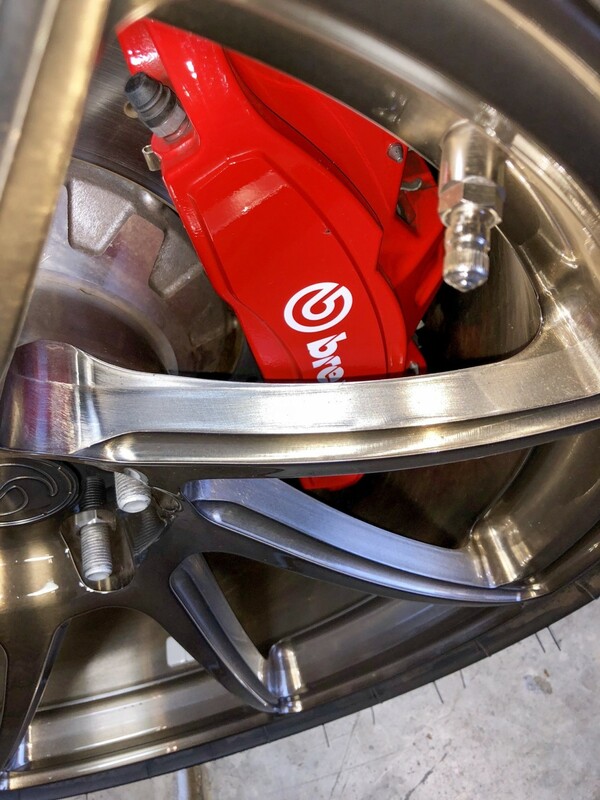 One of the best features is we have almost DOUBLED clearance over OEM on the GT350 brake package at the barrel and wheel face! All of our lineup is made from solid cores of forged 6061 T6 aluminum. 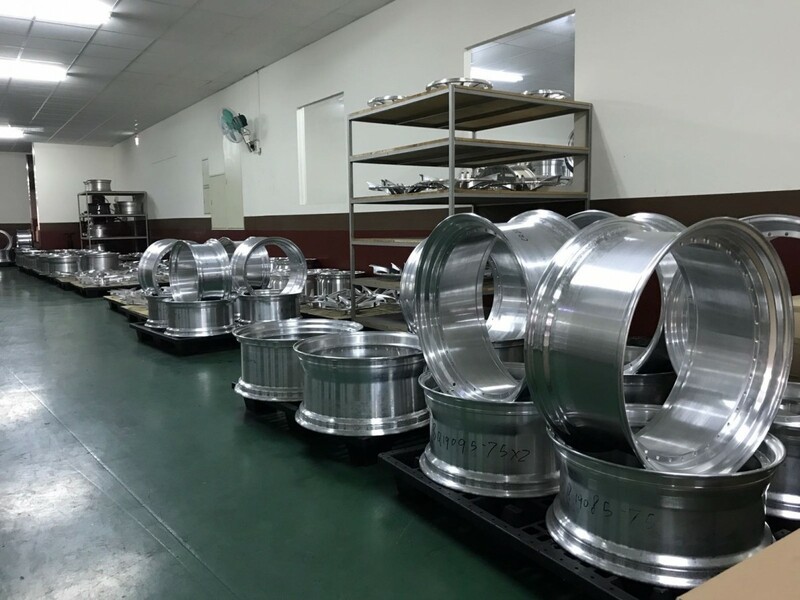 All wheels are CNC'd to perfection at our facility in Taiwan and custom made for each application. These are not flow formed, rotary forged, spun forged, or any other. Changes to color, custom widths, and custom offsets (within a limit) come at no additional cost. Each set takes 5-7 weeks to build and powder coat, then it is shipped directly to you. 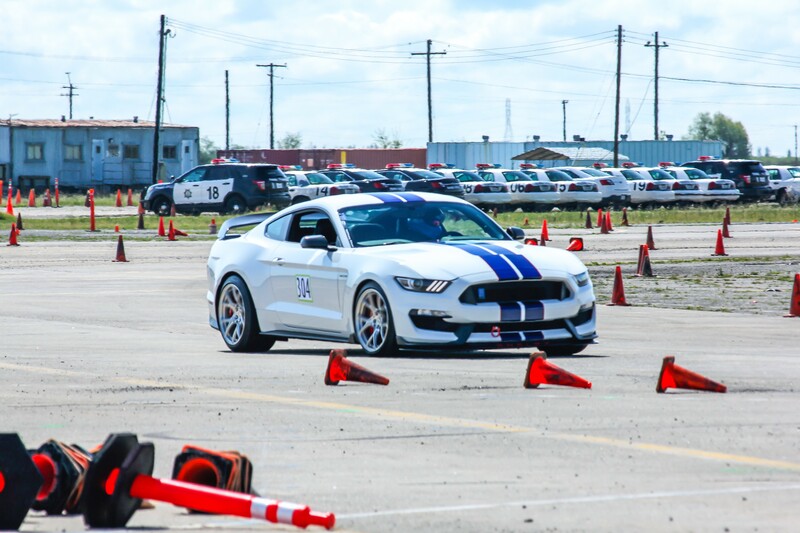 All the wheels are JWL and VIA certificate of Accreditation on Dynamic cornering fatigue test equipment, Dynamic radial fatigue test equipment, Impact test equipment and certified stamp on the back of every wheel made. 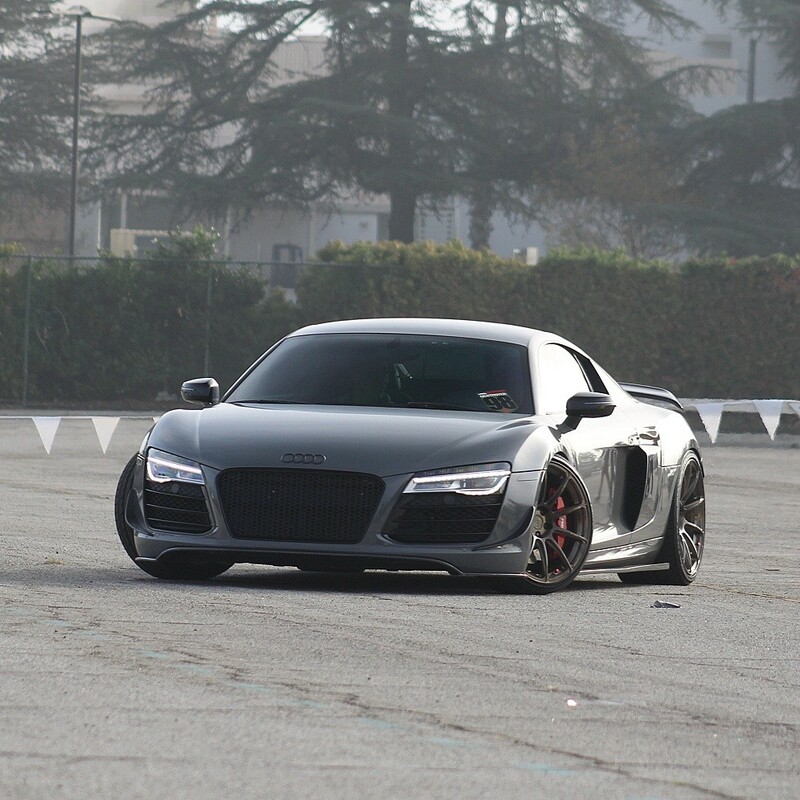 I have personally used mine for track use, and many others have as well. 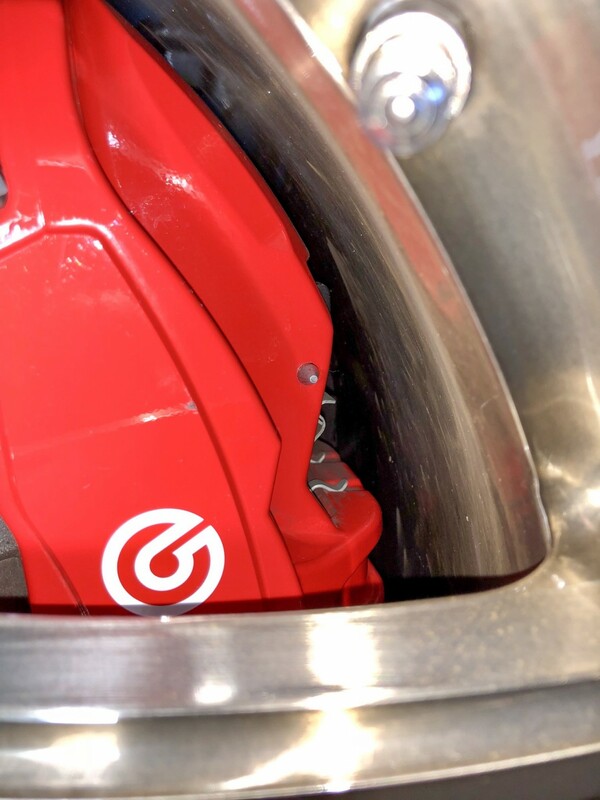 We actually encourage buyers to put the wheels on track as all wheels are designed with strength, style, and a reduction rotating mass in mind. 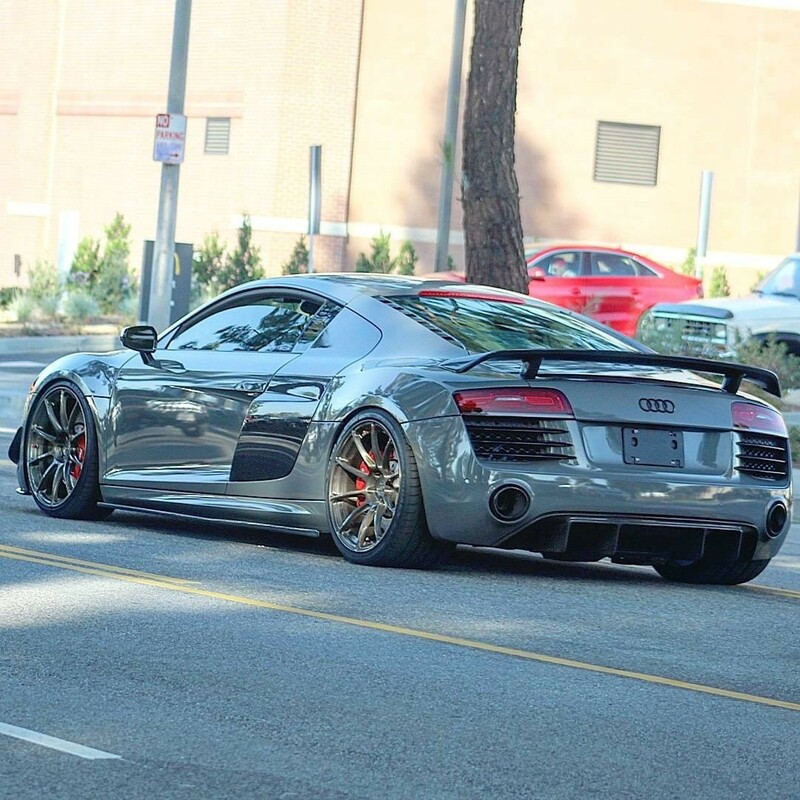 So far the brand as been extremely popular within the Lamborghini, GM, Porsche, and BMW markets. 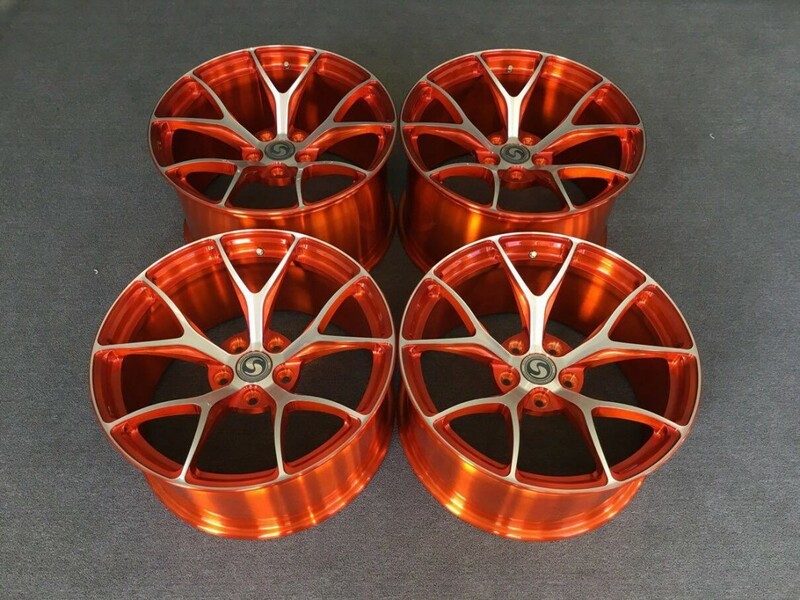 All the guys paying 10k for fully forged wheels in other markets have been more than pleased with achieving the same quality without a hike in price for the name. That is what I want to bring to the Mustang and Ford community. 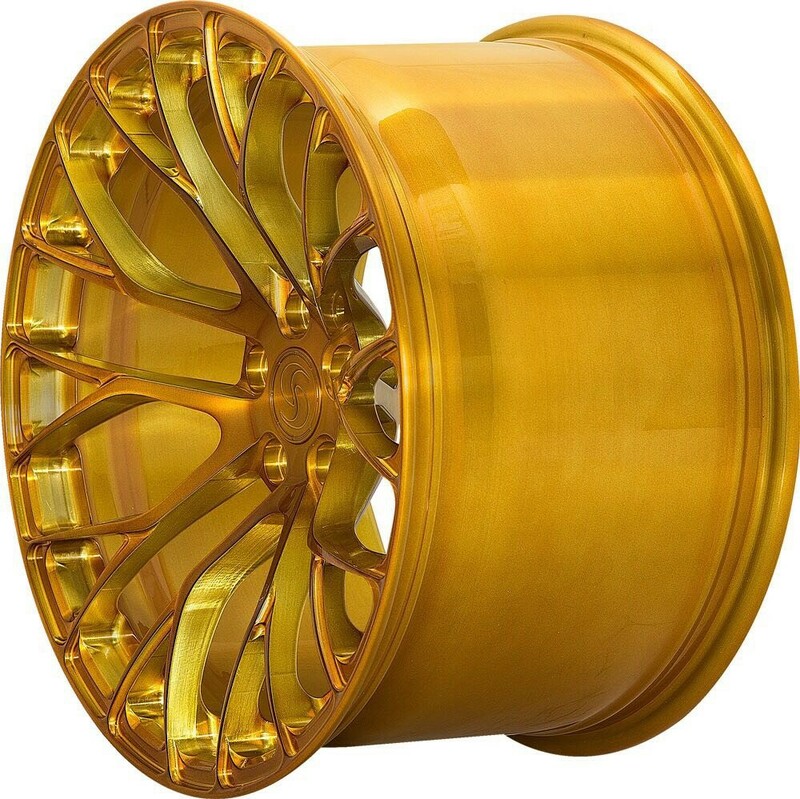 If you comparison shop brands that offer the same fully forged wheel you will find out why we are growing so fast. 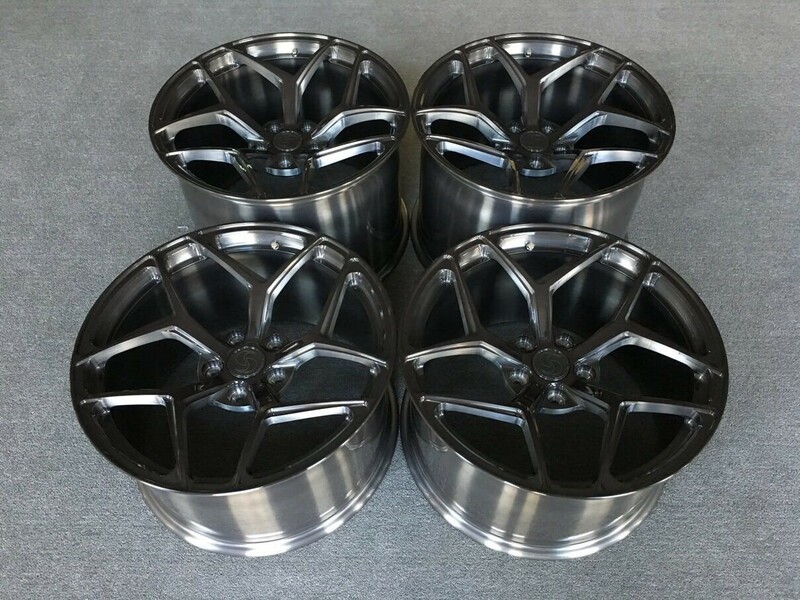 Here are some of the wheels we have placed on customer cars across the market. For me this is simple. 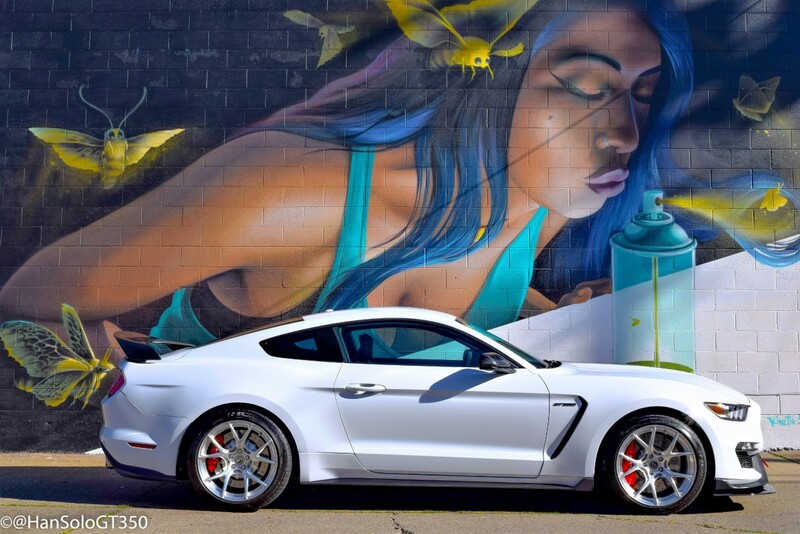 Up until now the GT350 and Mustang market has not received the direct attention it needed. 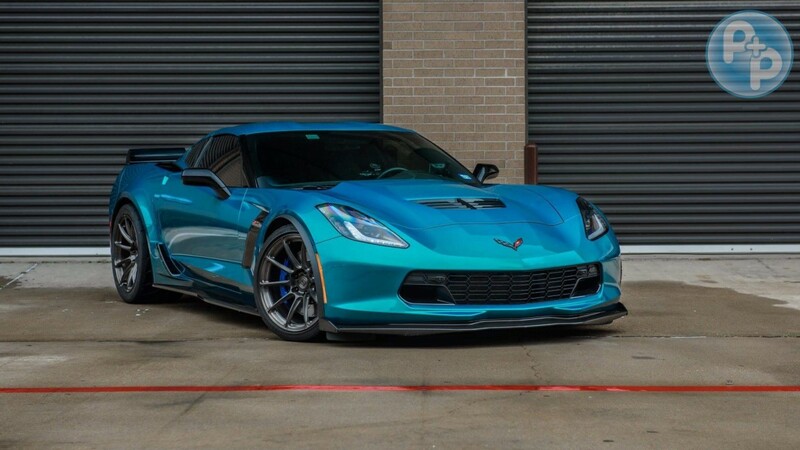 I am here to work directly with you guys to place orders, answer questions, show off your amazing cars, and bring people into the Signature Owners Circle. I have the direct ability to adjust pricing, offer deals, and anything else you may need. I will remain active on the boars providing help where I can with my personal profile, and plan to remain an active member of this community. In any case, I am looking forward to those of you who are ready to purchase a set of wheels and join #Signaturenation. Make sure you check us out on Instagram and our web page. Anything you need just send me a PM, Email, DM on Instagram, or text for those that have my number. Thanks for your support. 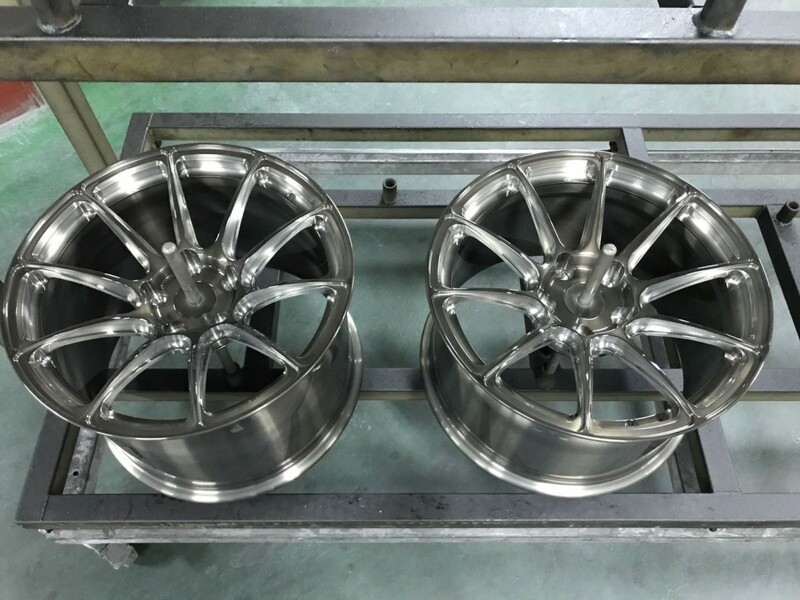 I will update this thread with pictures of new wheel designs and customer cars as we move ahead. This business profile is new to me so I want to be balance getting you all information, not violating the board rules, and staying below spam level. 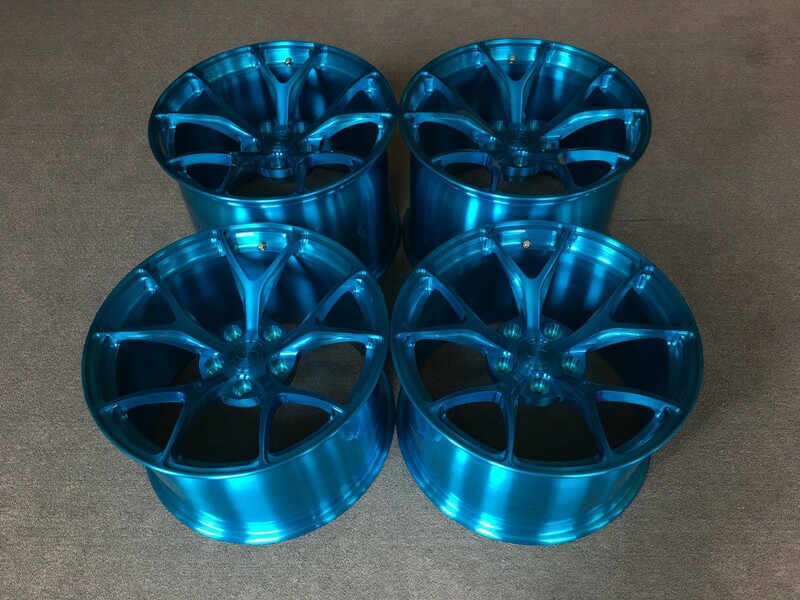 What a beautiful looking batch of wheels that Signature Wheels has to offer. I like these the best. 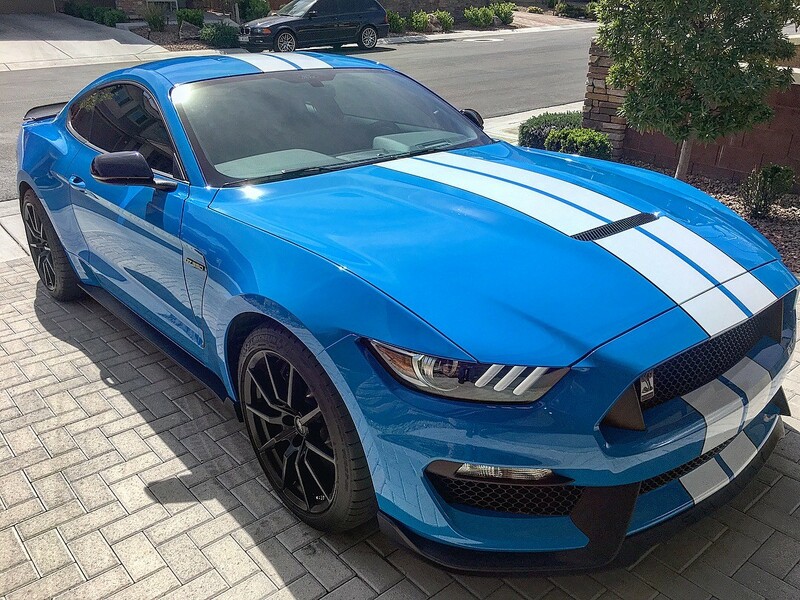 But I do not own a GT350. Just a lower grade Boss. Happy to share with you guys the release of our brand new SV501 Black Series. 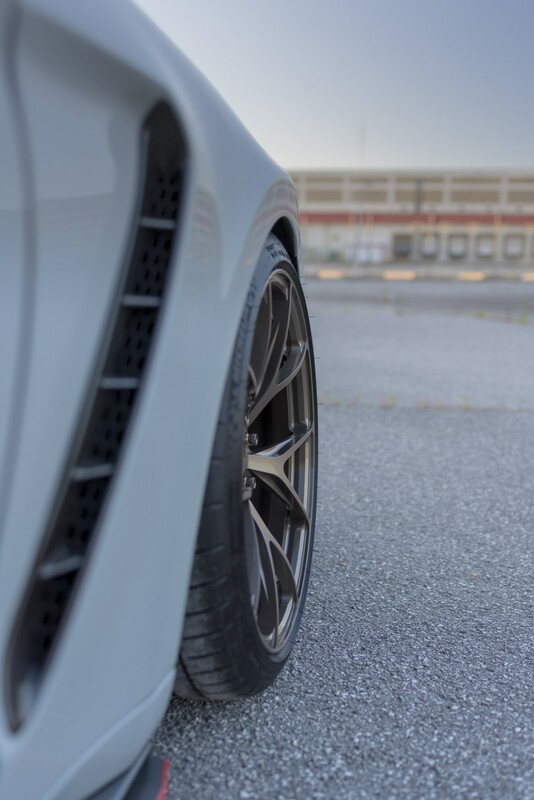 This is a track inspired wheel with lightweight and strength as the focus. 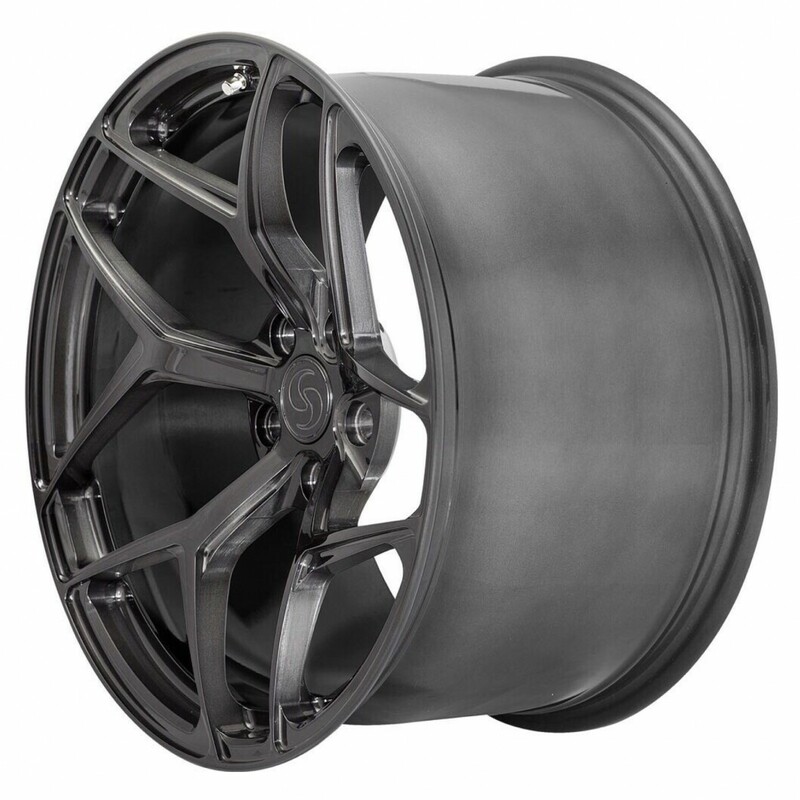 The wheel is only available in black and with a 19x10.5 et50 on an M3/M4 it tipped the scales at 20.5 lbs! Nice...blew my wheel budget for the year already...how much? Yep I like the SV501. Here are a few pics of the SV108 on my car. I had the same level of clearance on the SV101 also. 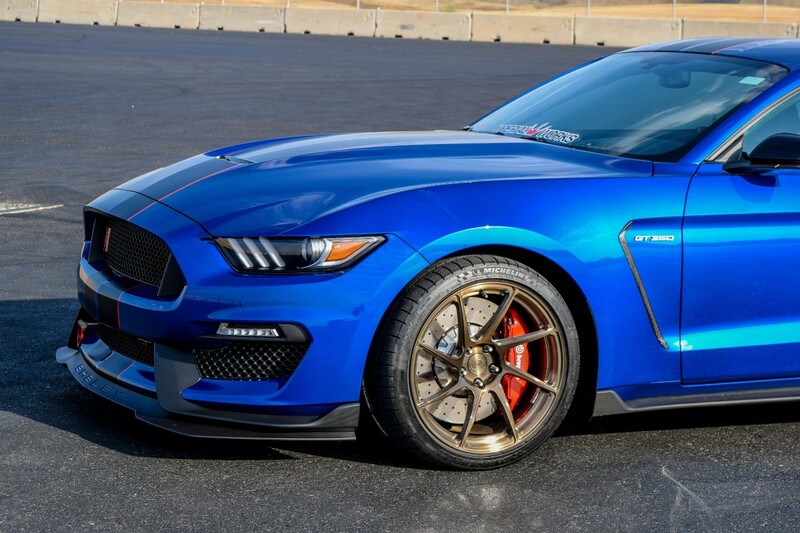 You can see the caliper clearance is vastly improved over the stock GT350 and R wheel. If you are considering wheels that don’t provide this, then you are tempting fate. I’m speaking from experience after having the inner barrel of a wheel and caliper scratched by debris getting in there. 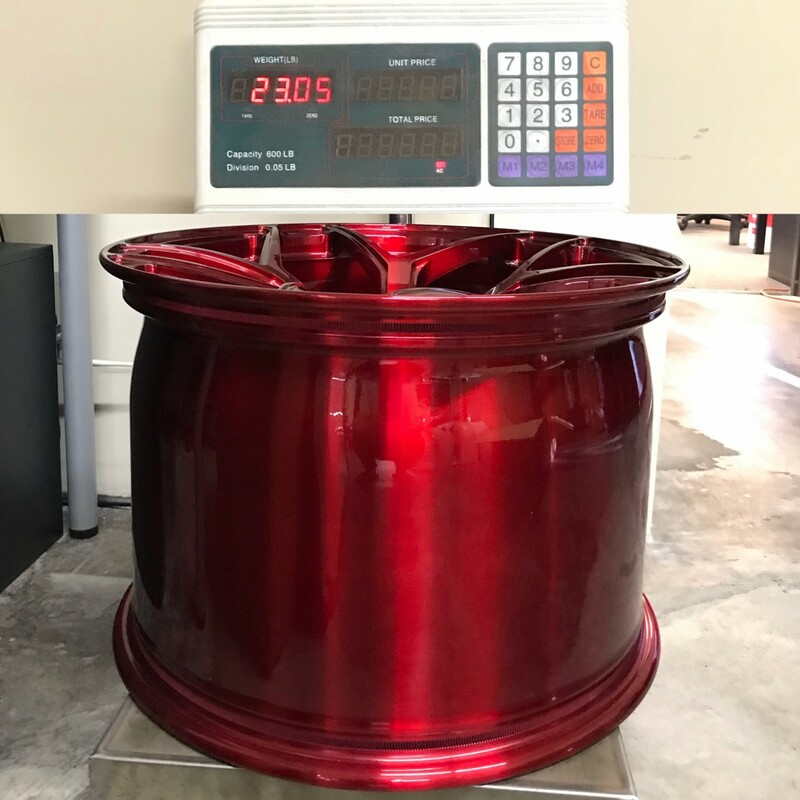 Retail on all the forged monoblock wheels are $4500. If you decide to order I will PM you about final pricing to help out this holiday season. 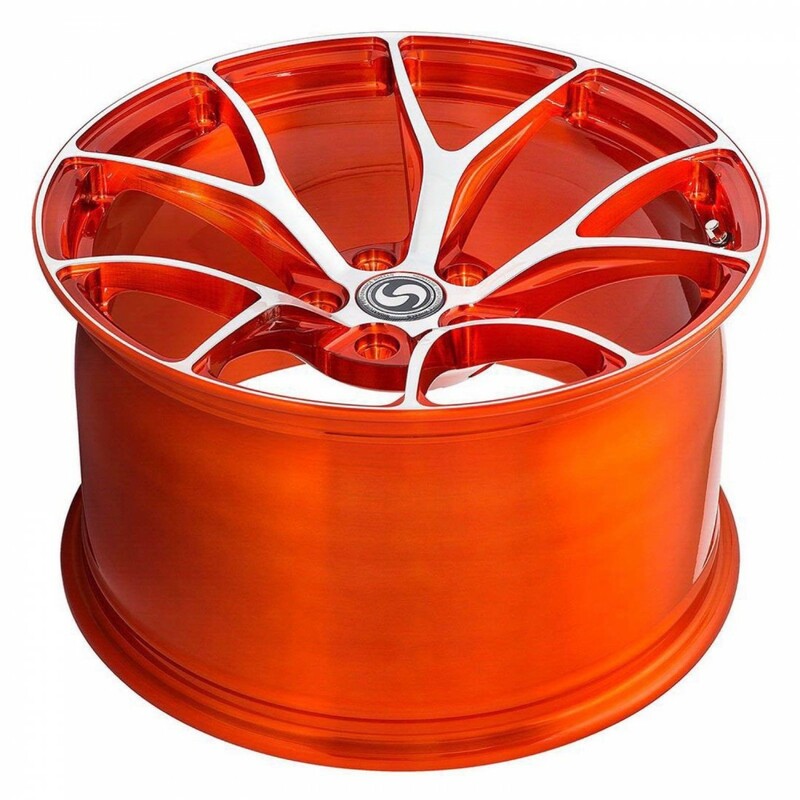 We will be having a deal on this wheel for Black Friday. Buy one set, and get the other half off. Great way to go if you and a buddy both need wheels. Can you give away the radial and dynamic fatigue test numbers that the wheels actually get tested to in order to be VIA or JWL certified? Could they be interested in getting in touch or do they only wanna work "in-house" (I completely understand if they want that)? Unfortunately I cannot give out the specific data, but the certifications have been achieved. Said a lot to me that they went through the process to begin with. If you have something to submit I can definitely see if we can get it done. You have a skill set that is much better than a sketch on pen and paper. We are always looking to design new looks, just have to justify Or show its marketability. Black Friday Sale is on from 11/18 - 11/30. Two deals available. byronj and VoodooBoss like this. Anything for the Boss market? 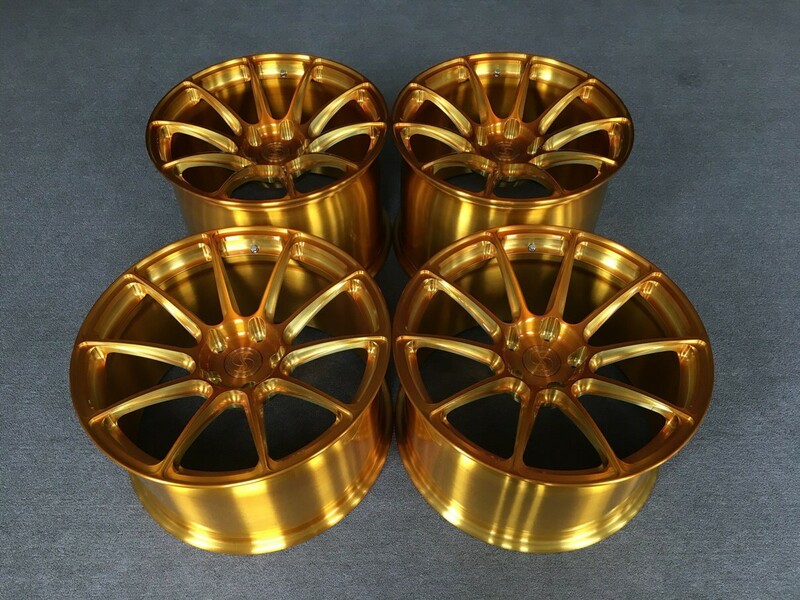 Gents, I have been really enjoying talking to many of you about your wheel desires. Pretty cool being on this side of the ball providing customer service and discussing some of the technical aspects of wheel designs. 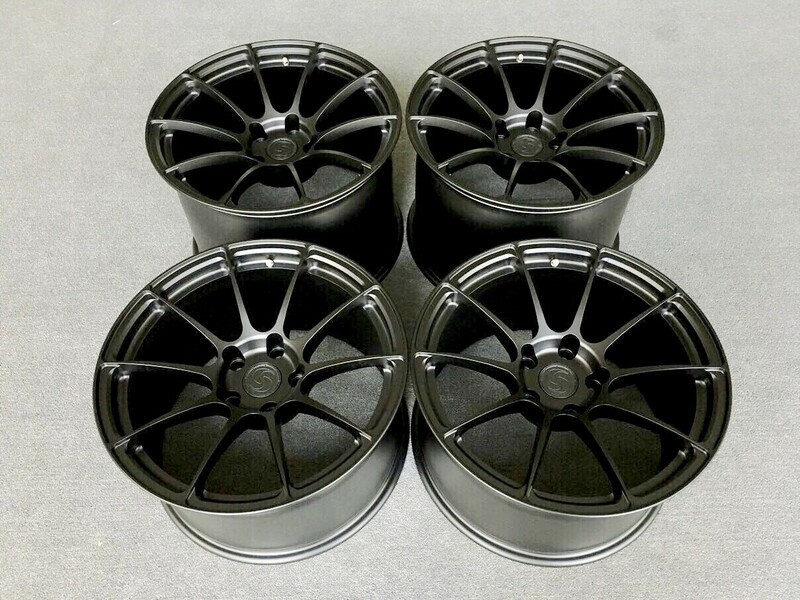 In doing research about wheel types I came across a pretty good article on Camaro5 by a member named Nine Ball. I believe he/she works for Forgeline and broke down some technical information about different types of wheels being offered on the market. It was educational for me, and I think it will be for you also. This is not the gospel per-se, and it was written several years ago. 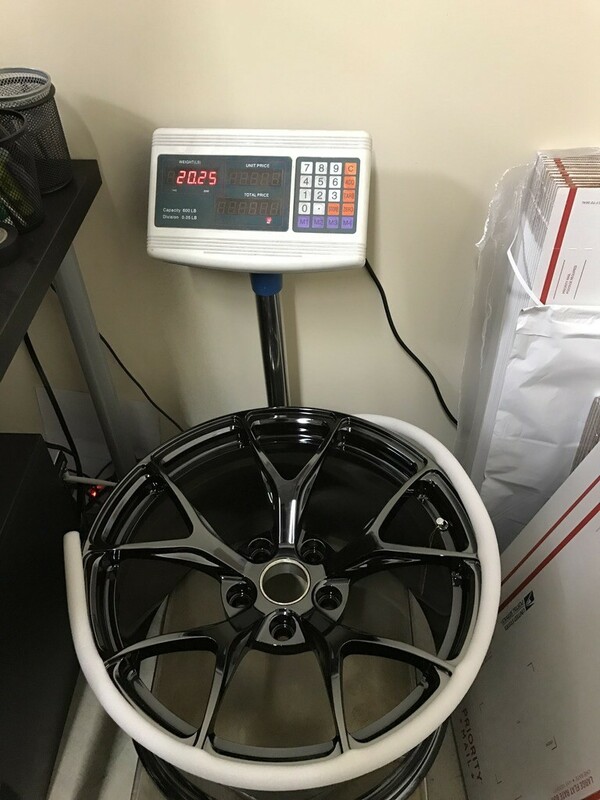 You will see that Signature Wheels offers two of the best types of constructions in many widths/sizes, but I think it will help those that have questions about our wheels, pricing, and differences in construction. 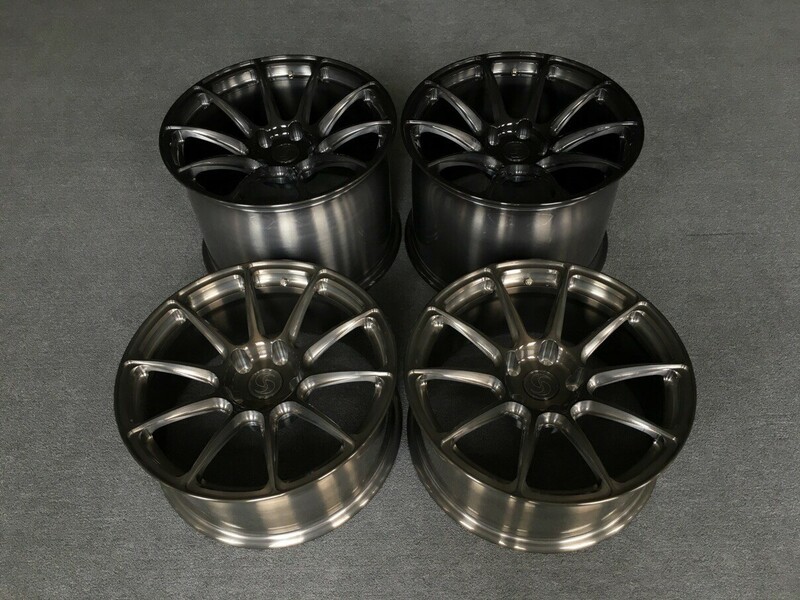 I get a lot of emails from new wheel shoppers, asking what the differences are between cast aluminum wheels, flow-formed wheels, 1-piece forged wheels, 2-piece forged wheels, and 3-piece forged wheels. 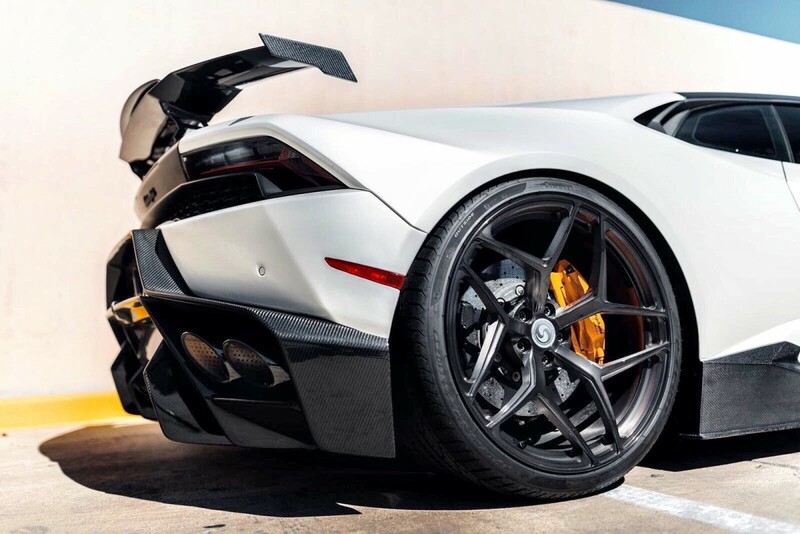 I always take my time to explain the differences in construction methods, as I prefer to educate my customers in order to allow them to select the wheels that best fit their needs. There are predominantly 6 different methods for construction of wheels. 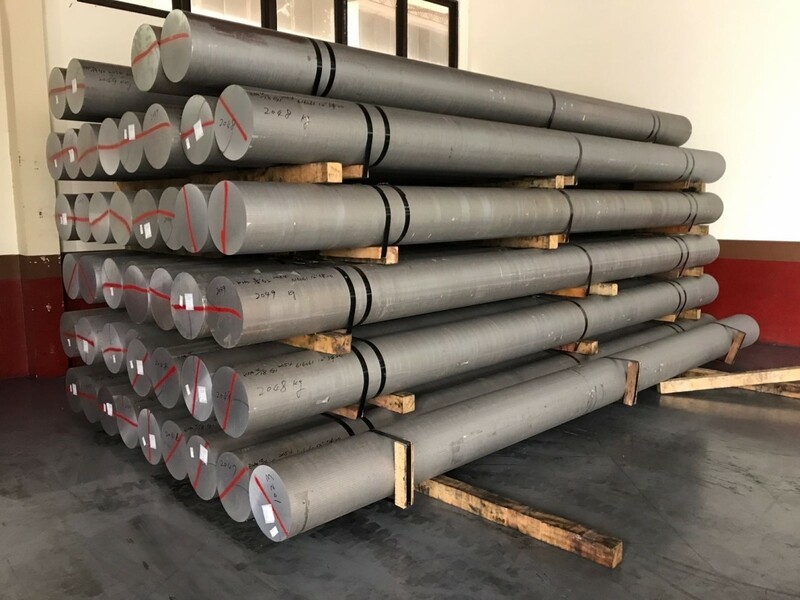 Each one varies in quality, weight, strength, and price. There are pros and cons for each type. Hopefully after reading this thread, you gain a better understanding of each. 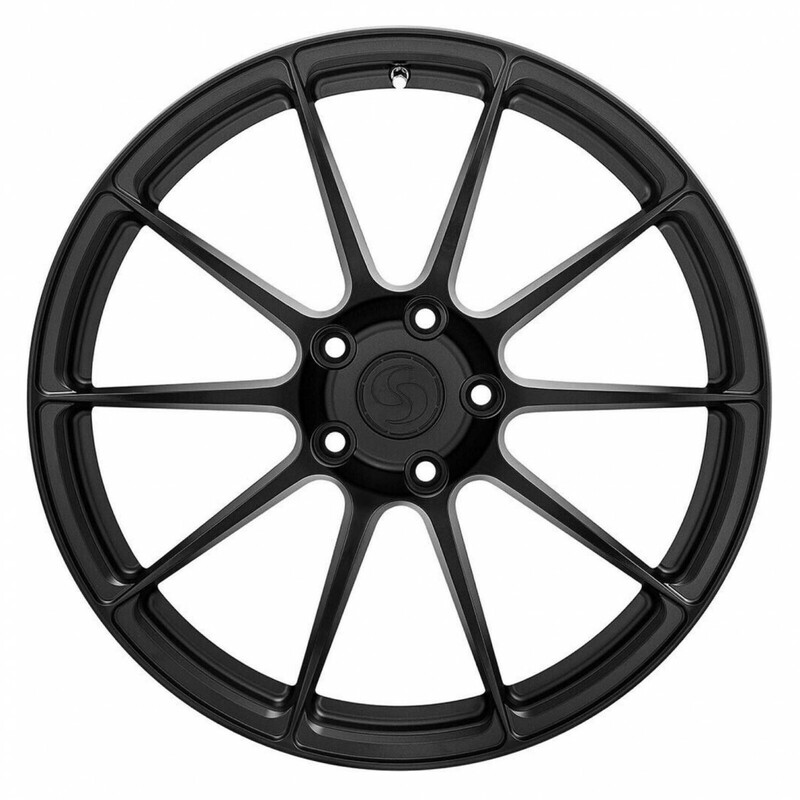 These are the lowest priced wheels, and are typically what are found on production vehicles. 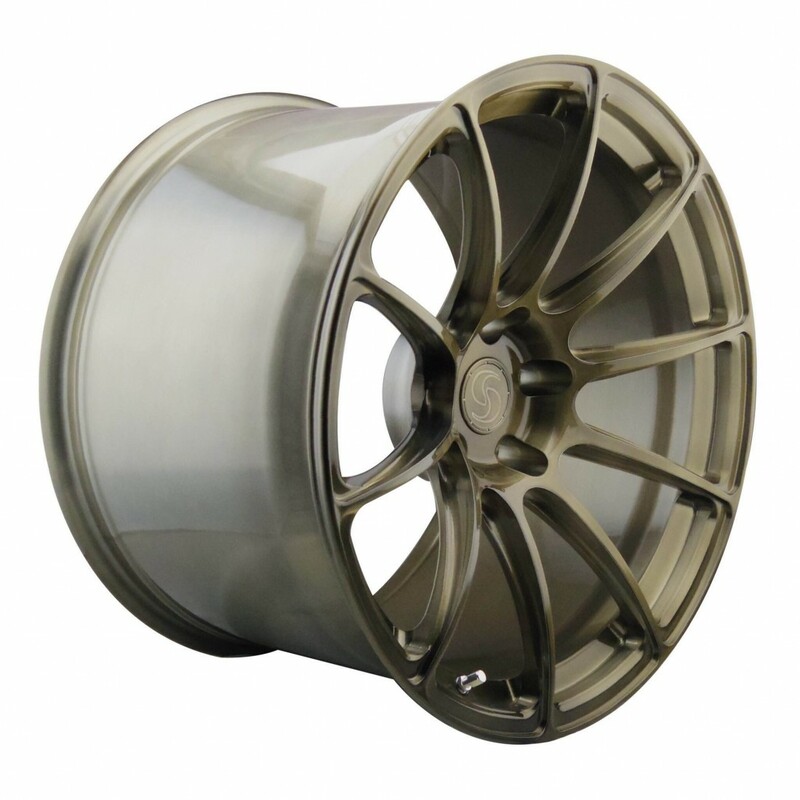 Cast aluminum wheels are created by pouring molten aluminum into a mold that is shaped like a wheel. This produces a wheel casting. Some final machining work is then done to clean up the rough surface, and paint/finishing is applied. Pros: Lowest price, easiest to mass-produce. Cons: More brittle than forged wheels. Spoke details and edges aren't as sharp as a machined forged wheel. Heaviest weight of all wheel construction types. Lowest quality. 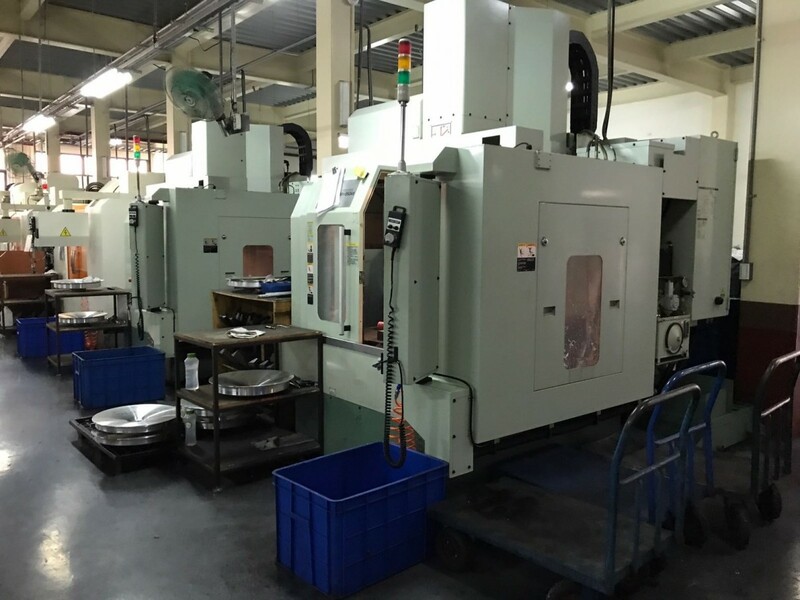 Limited offsets, width increments, diameter selection available. Nearly impossible to repair when cracked or severely bent - safely, that is. A damaged cast wheel usually needs to be replaced. 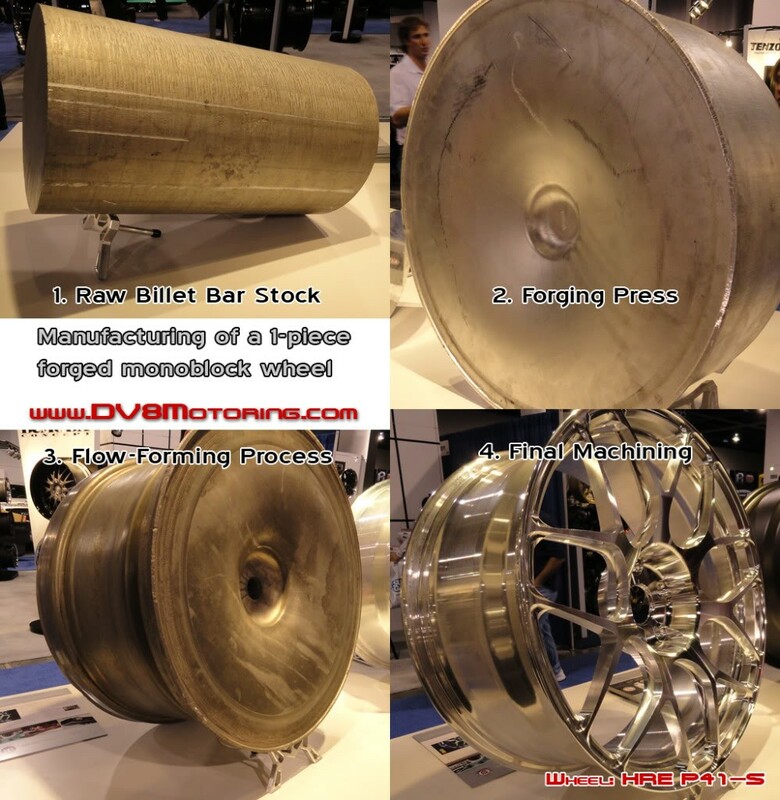 Flow-Formed wheels start out identical to cast poured wheels, but with different hoop thickness. 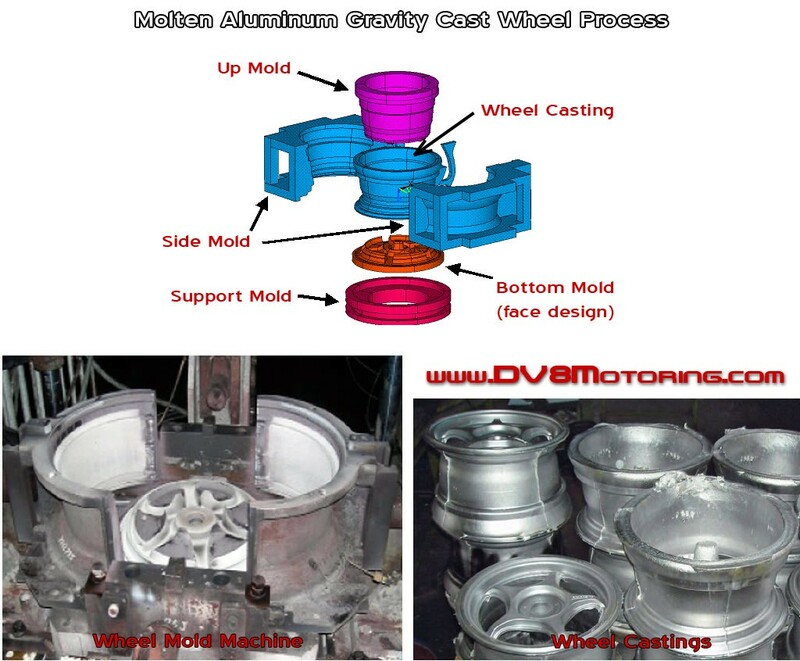 The casting process above is used to create the spoke pattern only. 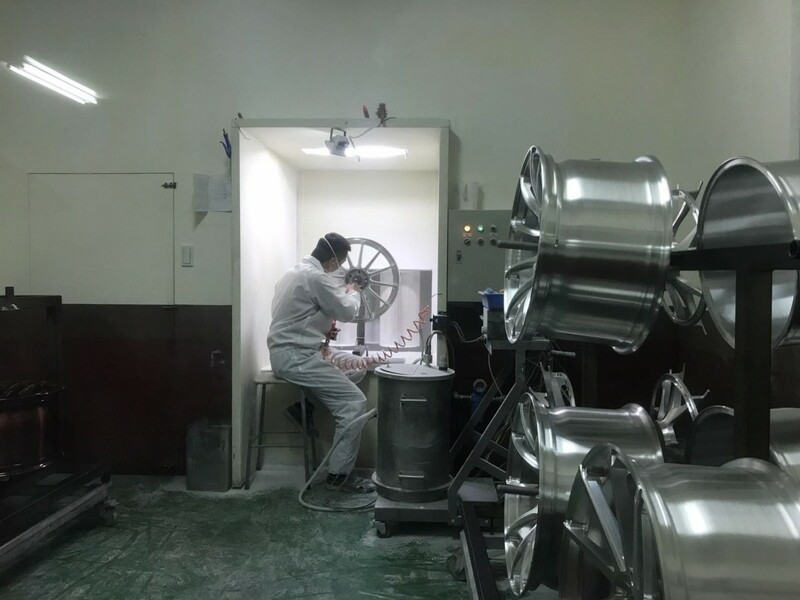 Then the wheel castings are put into a flow-forming machine to form the outer hoops. This is done using high heat and high pressure rollers, which "flow-form" the outer hoop. 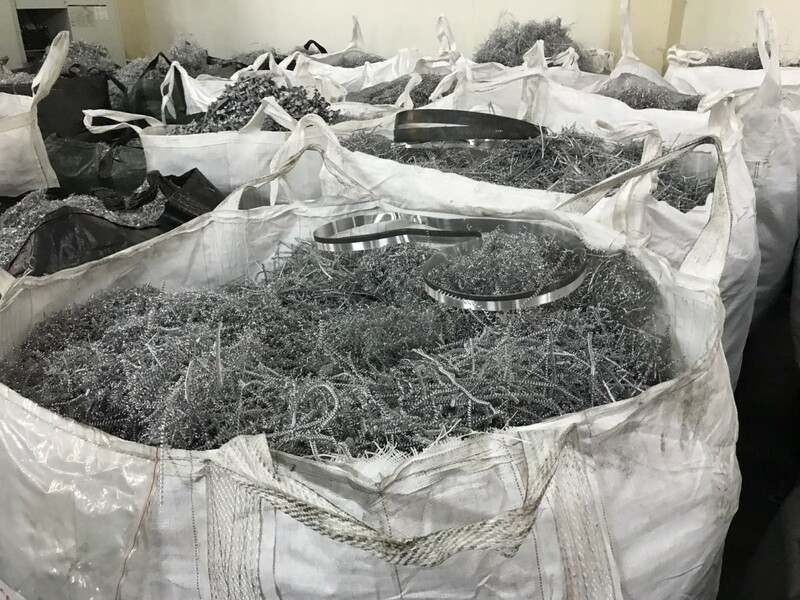 This results in a stronger outer hoop, with aligned aluminum grain structure. 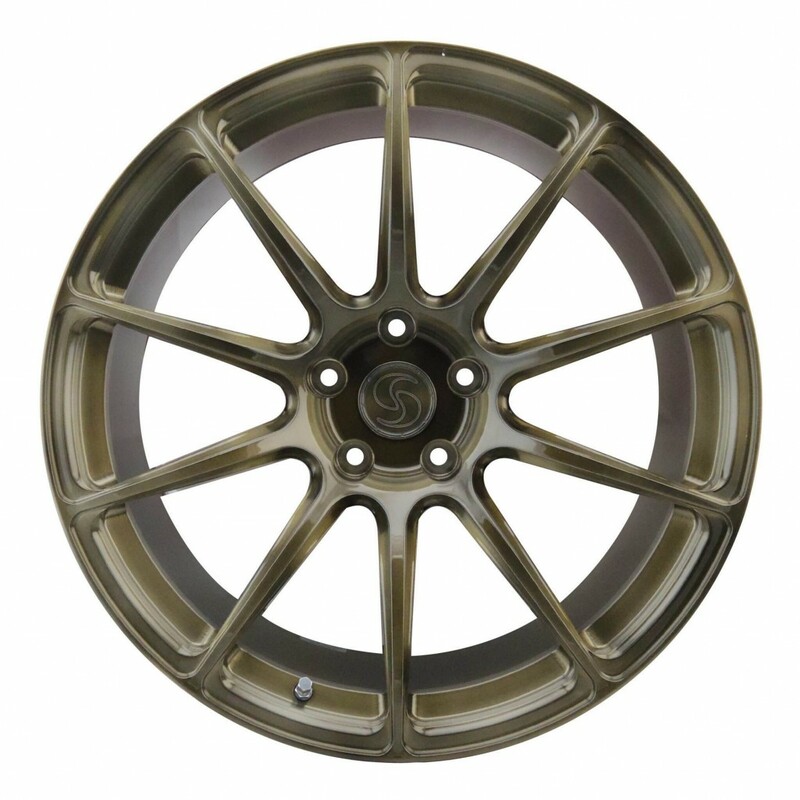 The resulting wheel is a cast faced wheel with a hoop that has properties similar to a forged wheel. They are stronger and lighter than cast wheels. Pros: Low Price, Lightweight, Higher strength than cast wheels. 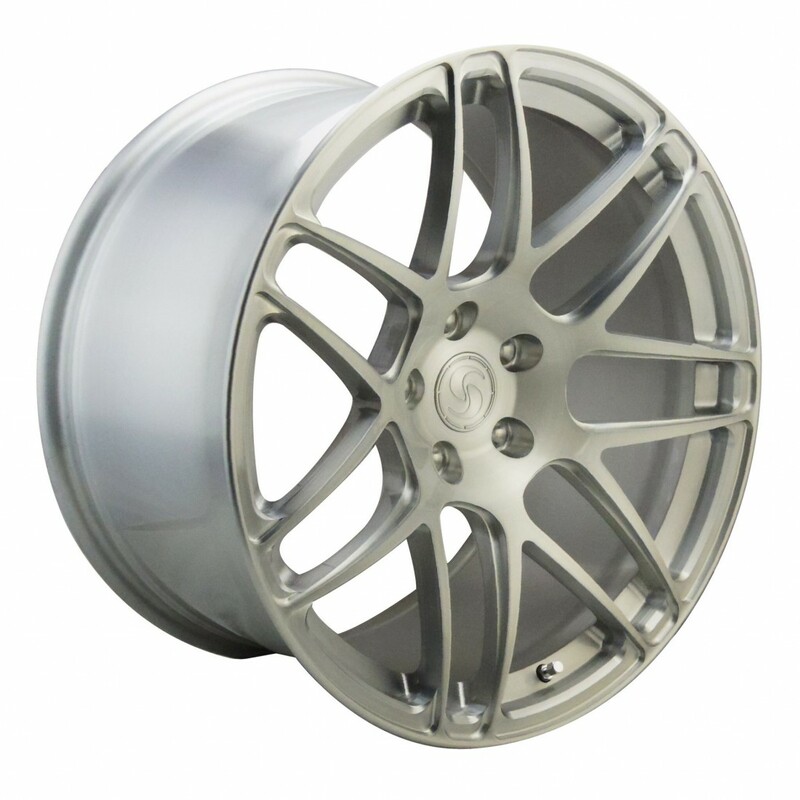 Cons: Cast face still lacks the sharp edges and details of a machined forged wheel. Limited width increments and diameters available. Hard to repair when severely bent or cracked. 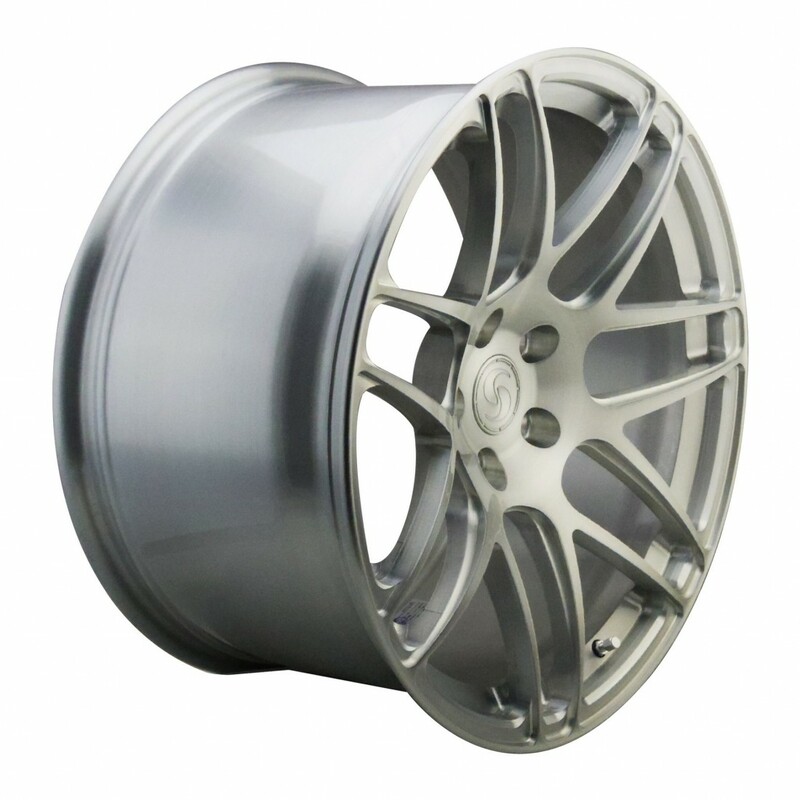 The term "Monoblock" is used throughout the industry to describe the 1-piece forged wheels. "Mono" meaning one, and "Block" meaning it was created from one block of aluminum. The block in this case is actually a round bar stock of high quality, aerospace-quality 6061-T6 Aluminum Alloy. The round bar is pressed in a huge forging machine, to stamp out a wheel shaped blank. Forging is a hot working process, and helps to align the grain structure of the alloy. This results in a very strong, very lightweight wheel construction material. The wheel blank is then flow-formed to create the outer barrel shape. Following that process, the wheel blank is loaded into a CNC milling machine and there the spoke pattern is milled out. 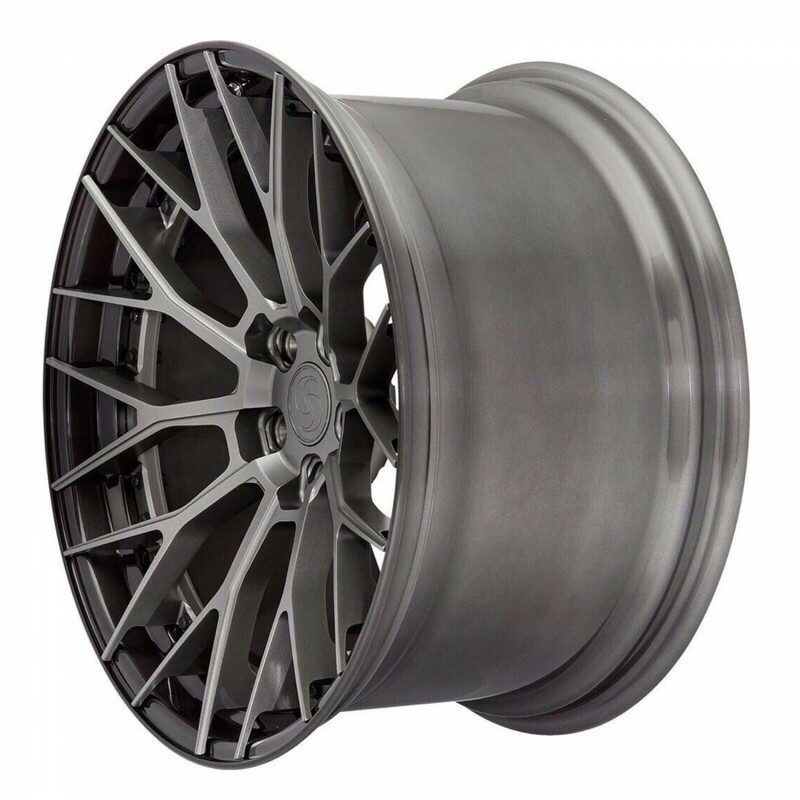 Pros: Lightest of the forged wheel construction methods. Cons: Priced about the same as expensive 3-piece construction. Difficult to repair when bent or severely damaged. 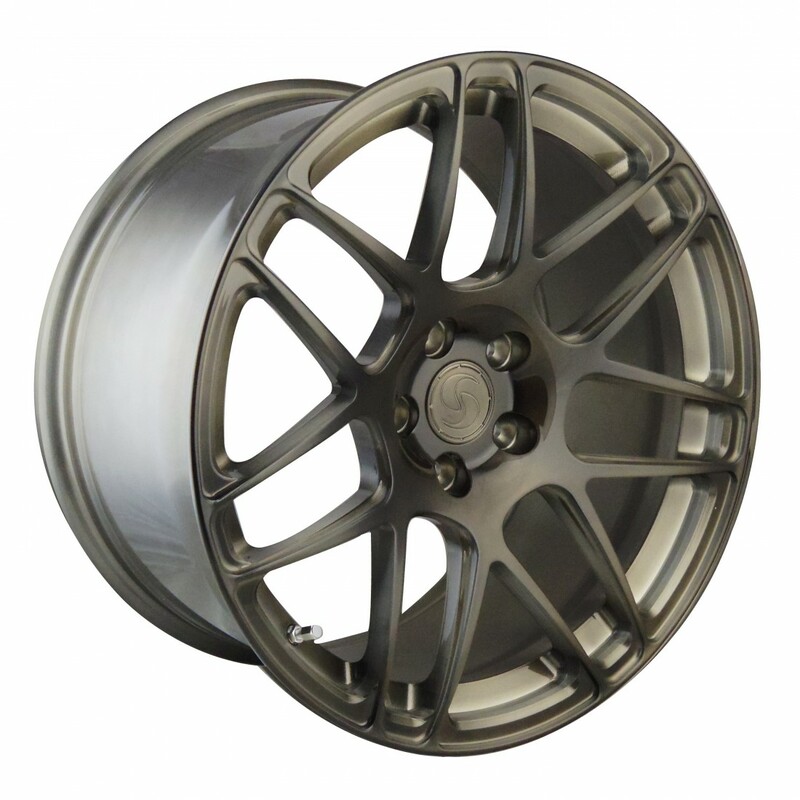 These are considered the entry level forged wheels, as they are priced slightly lower than 3-piece forged wheels. 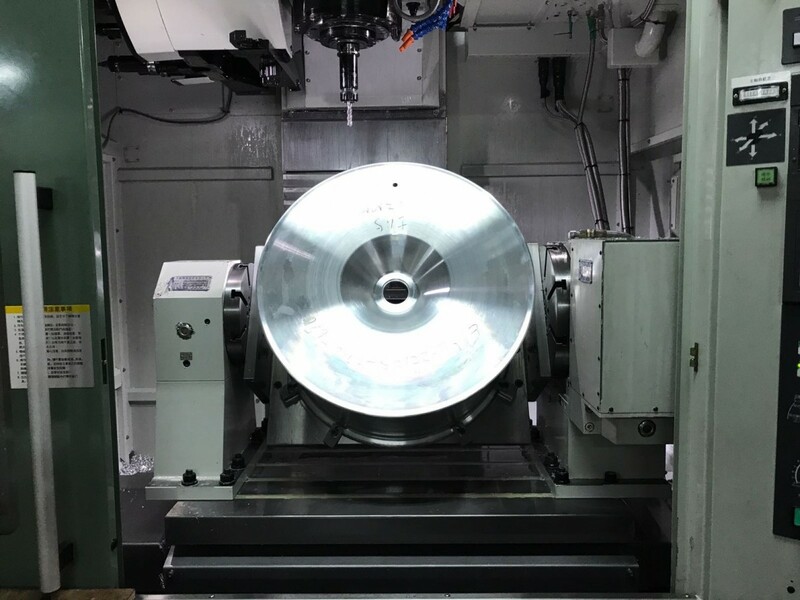 The centers start out as a blank of forged 6061-T6 Aluminum alloy, and the spoke patterns are CNC machined with a milling machine. 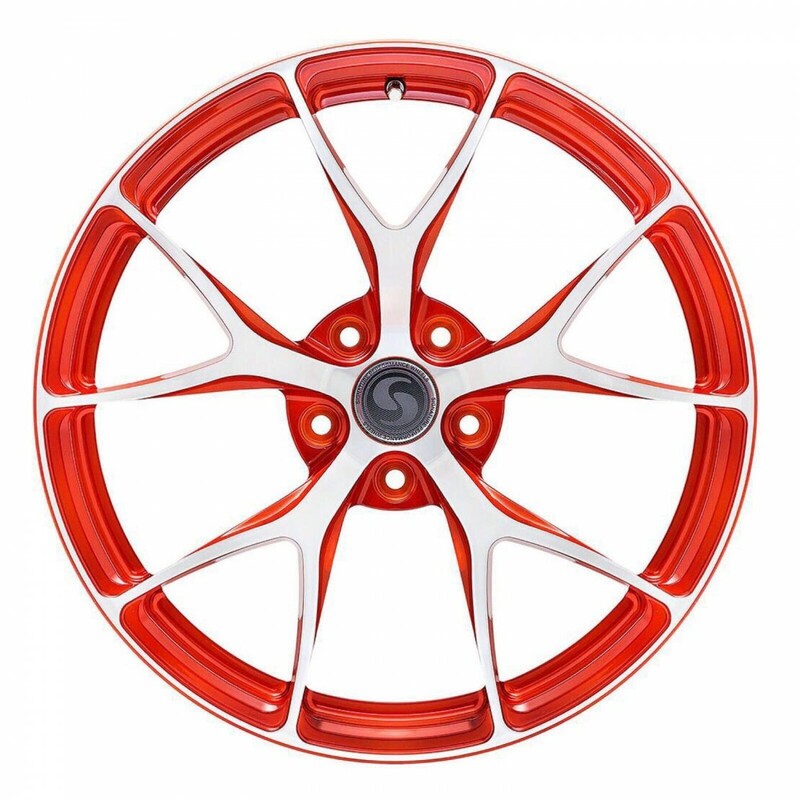 The wheel hoop is also a forged aluminum material. 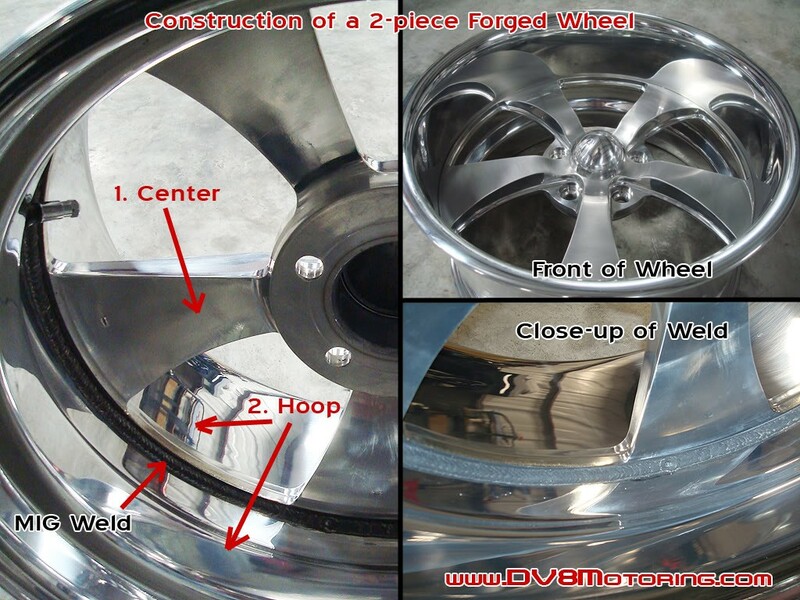 On a 2-piece wheel, the center is simply welded to the hoop on the backside of the wheel. Some manufacturers also offer cast aluminum centers, to reduce cost. Quality and weight of the cast centers is not as good as forged/machined, however. 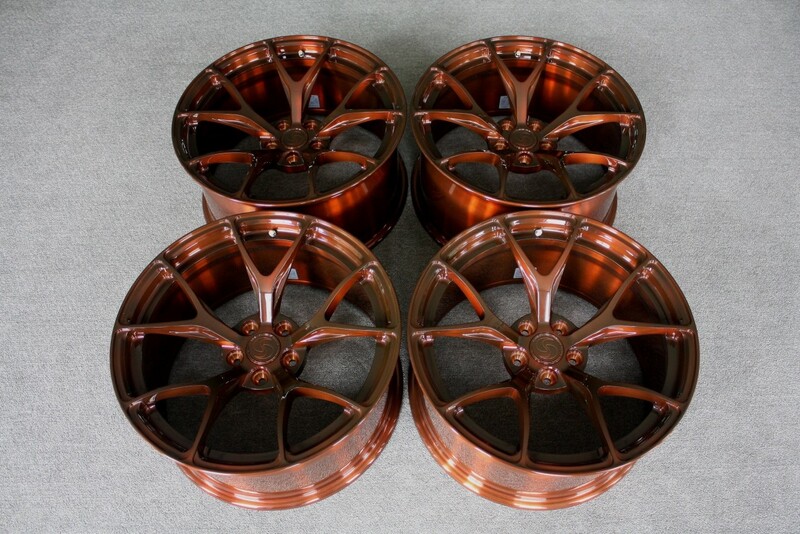 Pros: Lowest Price of the Forged wheels. 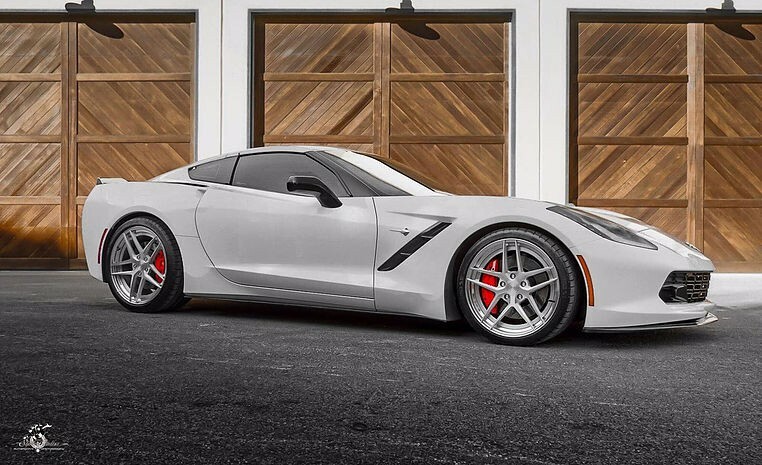 Same weight, appearance, quality as 3-piece wheels. Cons: Limited widths increments available. Cannot easily chrome plate or paint the lip, since it has to be welded on. More difficult to repair a bent lip compared to a 3-piece wheel, as the center has to be cut out and a new hoop welded on. These are built very similar to the 2-piece welded construction wheels above, but use a hoop that has a bolting ring already in place. Instead of welding the center to the hoop, it is simply bolted on. This is the least common method of forged wheel construction, as the hoops tend to cost more than simple welded hoops. Some manufacturers also offer cast aluminum centers, to reduce cost. Quality and weight of the cast centers is not as good as forged/machined, however. Pros: Lips can be easily chrome plated or painted, since no welding required. Easier to replace a hoop when it gets bent. Cons: Limited width increments available. Few brands offer this type. 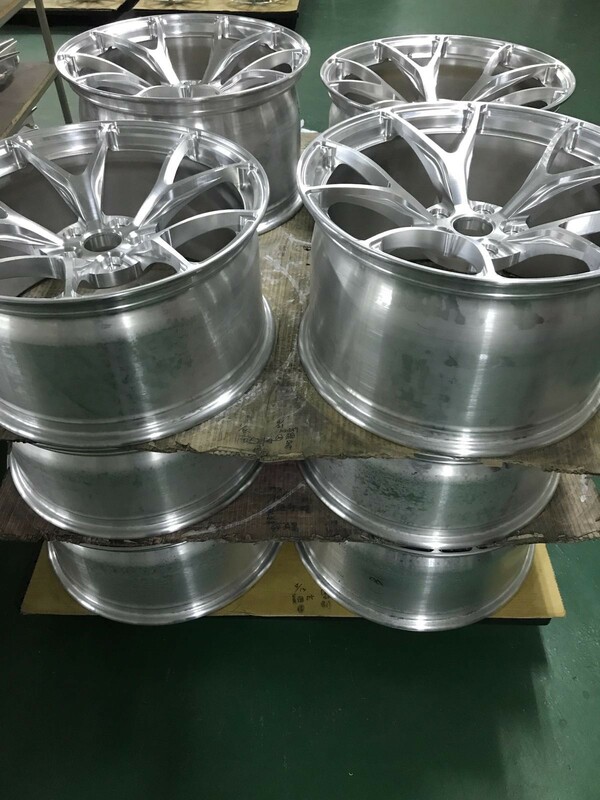 Three piece forged wheels are usually the most expensive wheel construction, mostly due to the assembly labor and components used. The wheels consist of three main pieces; the center, the outer hoop (lip), and the inner hoop. These three parts are held together with a series of perimeter bolts. Silicone RTV is used to seal between the two hoops. Some manufacturers also offer cast aluminum centers, to reduce cost. Quality and weight of the cast centers is not as good as forged/machined, however. 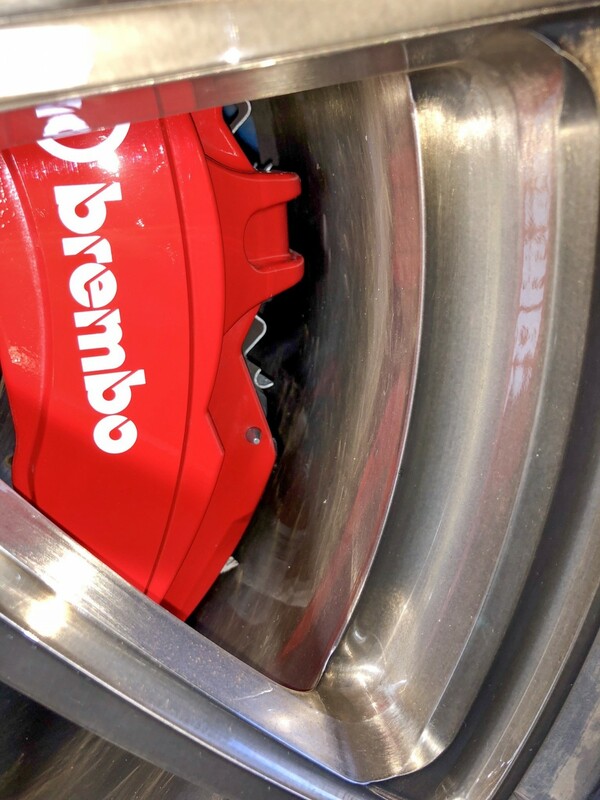 Pros: Most width increments available, truly perfect fitments available. 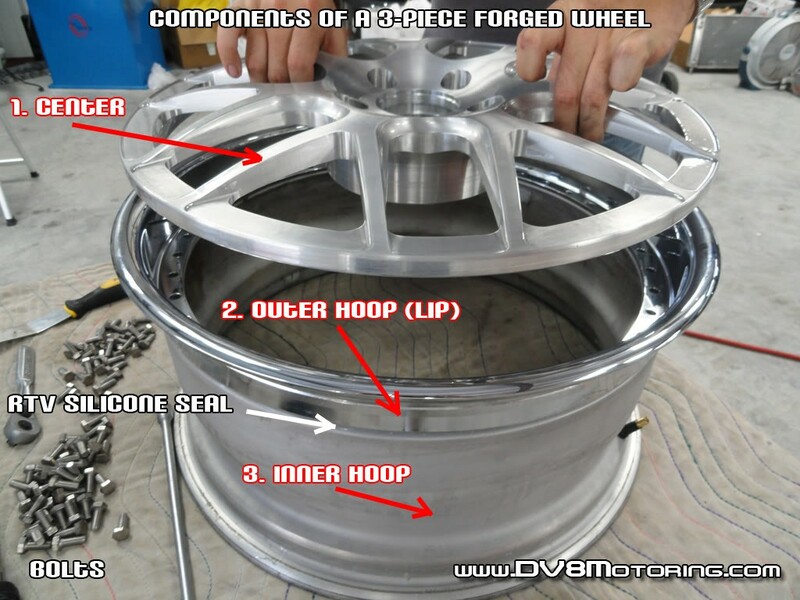 Easiest of all wheels to repair if lip gets bent or damaged, as hoops are easy to replace. 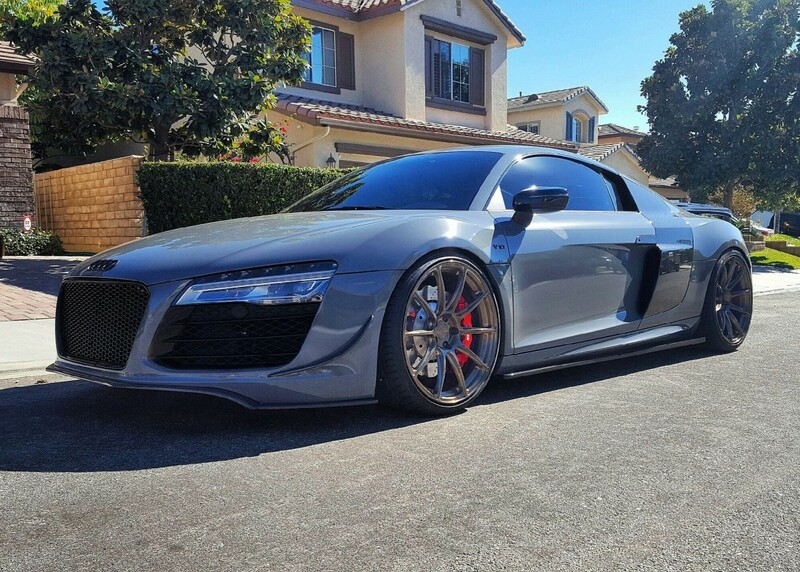 Easy to paint or chrome plate lip, since no welding is required. 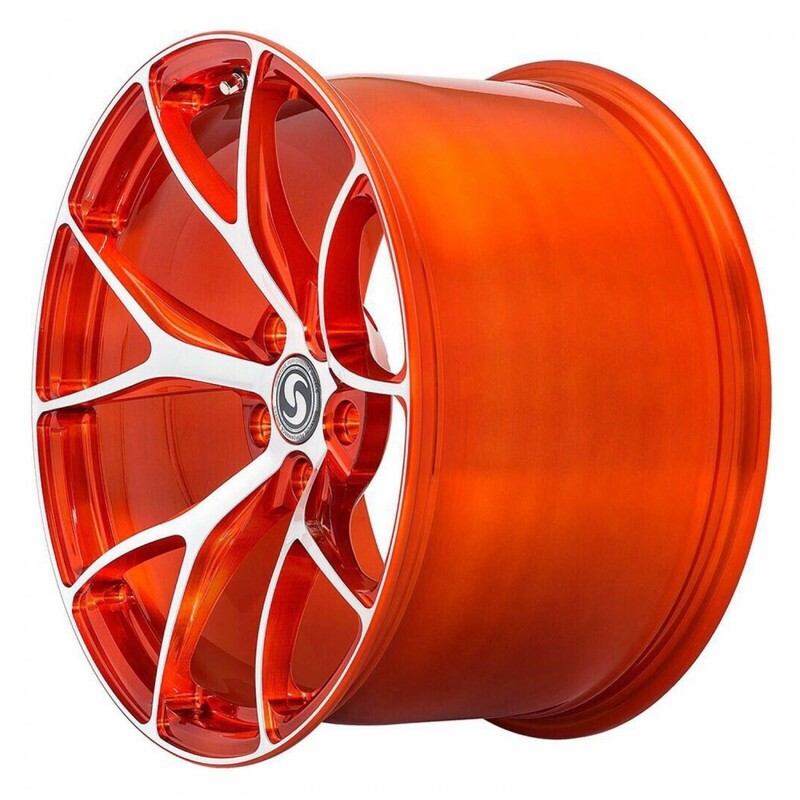 Can have different color rear hoop and outer hoop, since they are two different pieces. Highest resale value for used wheels. 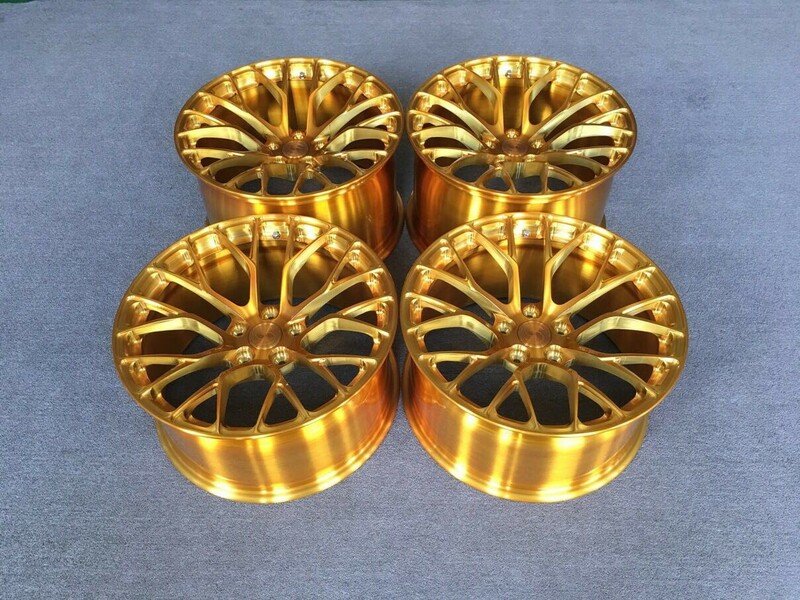 Cons: Most expensive forged wheel construction. RTV silicone seal can be damaged by inexperience tire installers, resulting in leaks. RaiderJatt02, TymeSlayer and VoodooBoss like this. We also finally got our very first set of the SV501 built. I have to say I am impressed with the final result, and it is a great OEM+ option. 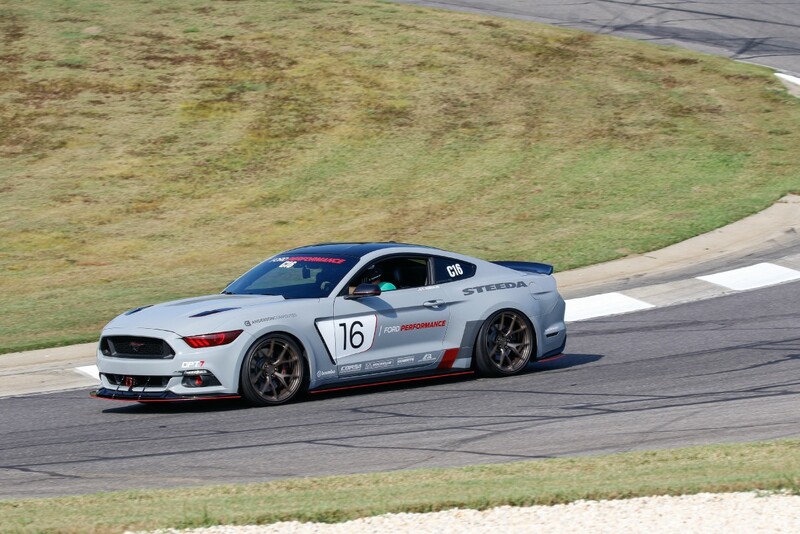 I personally liked the way the stock GT350 wheels looked, but hated that they were too heavy and shrouded the brake setup from sight. The new SV501 is everything the OEM Wheel should have been. 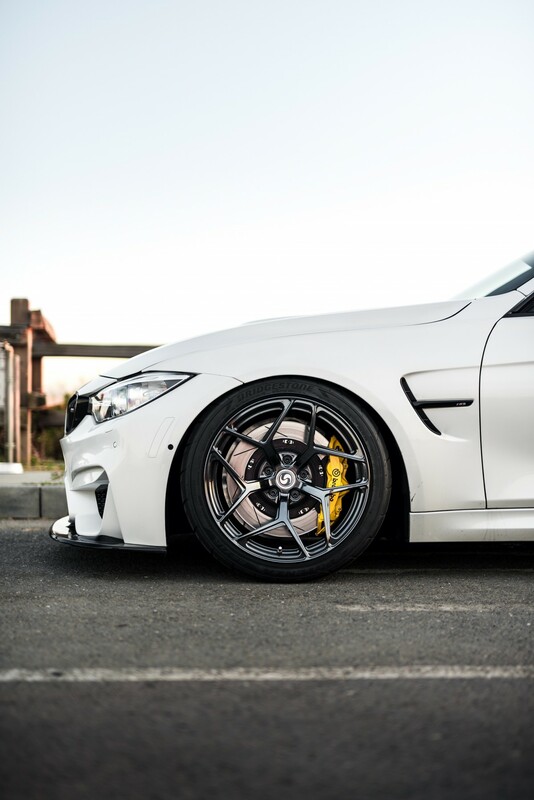 Light, concave, and thinner spokes to show off the brake package. 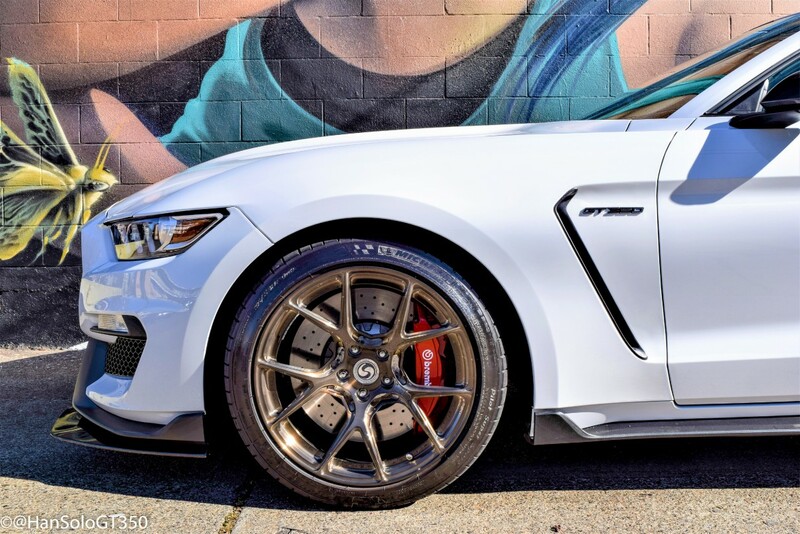 There are lots of aftermarket R wheels on the market, but not everyone wants that look on their GT350. Finally, a fully forged lightweight option is available. Hope you all are having a good weekend. 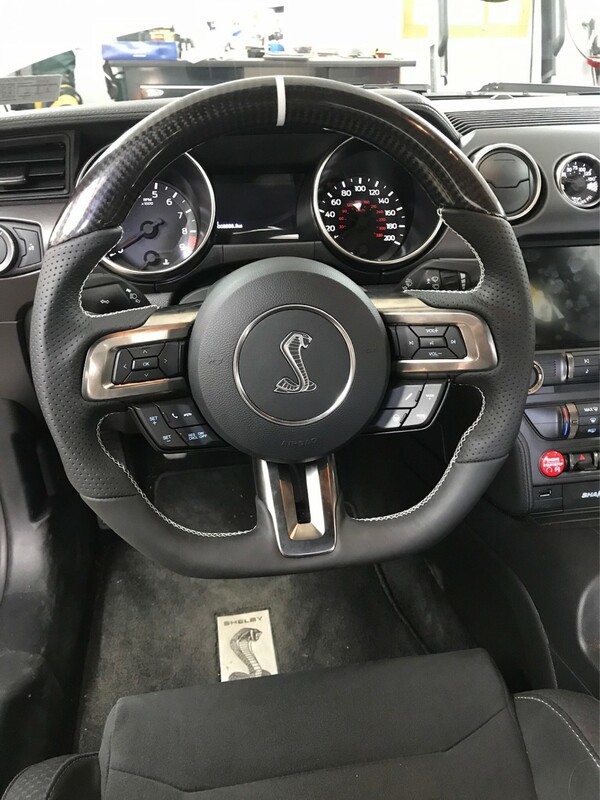 Things have been very busy around here at Signature Wheel lately and I have lots to share. 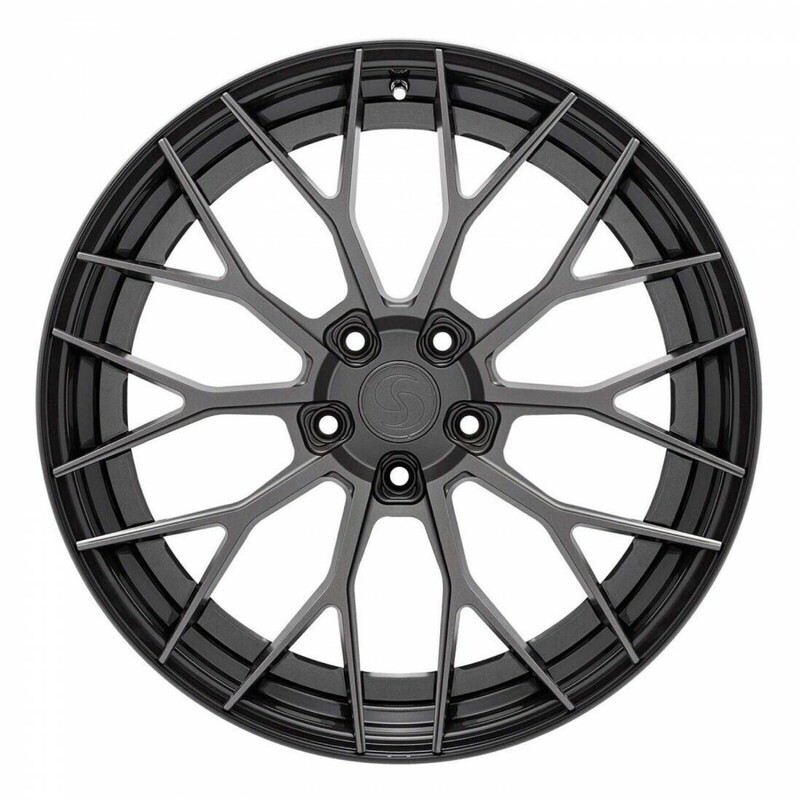 Going from enthusiast to vendor I have noticed a lot off added posts in the technical sections from wheel companies and other vendors. I will try to limit my updates to once a week so I do not take away from other discussions being had regarding our vehicles. With that said, let’s begin…. Second, we released a new wheel to our lineup. This is the all new SV305 and SV305S. 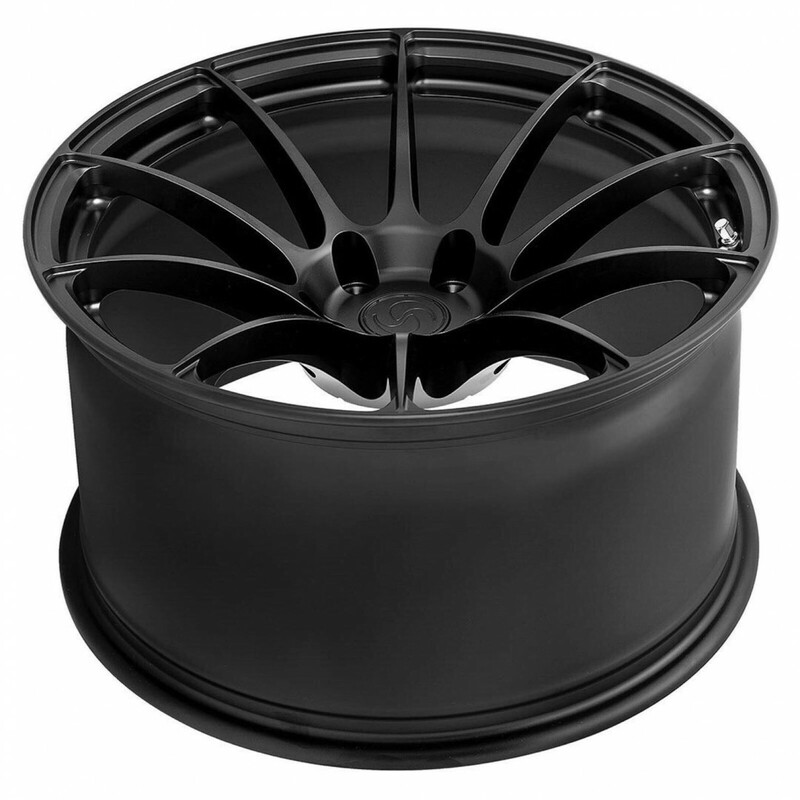 The two-piece version of our popular SV105 wheel. Available in any size you desire with exposed hardware (SV305S) or hidden (SV305). 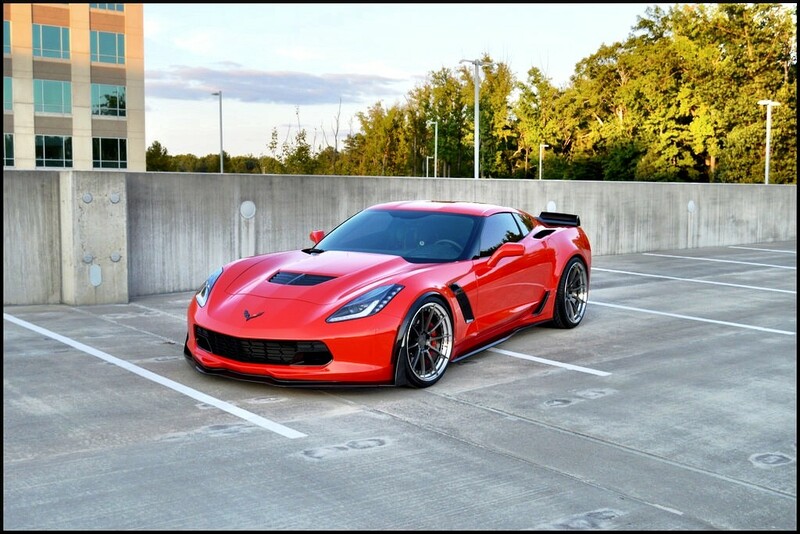 Deep concave just like all of our designs. 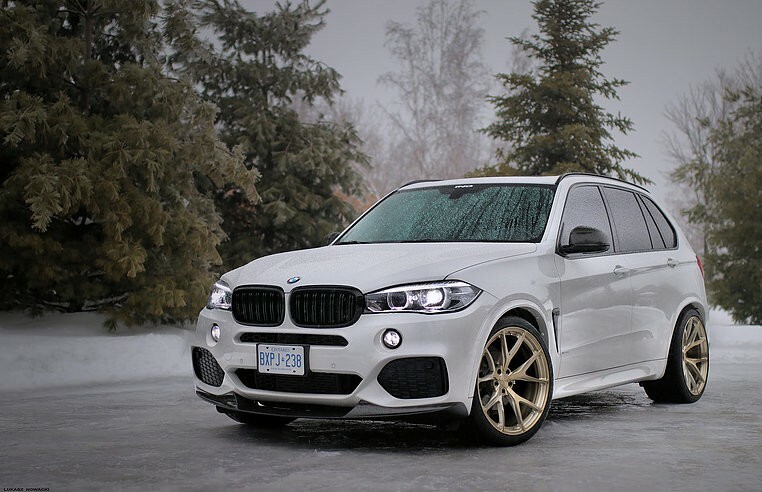 Available to be cut for any platform, including your SUV! Last but not least, I have had the pleasure of bringing a new member into Signature Nation! I have been speaking with member @offboost here for a little while on providing him with an option to reduce the rotating mass of his vehicle, while enhancing the brilliant design from the factory. 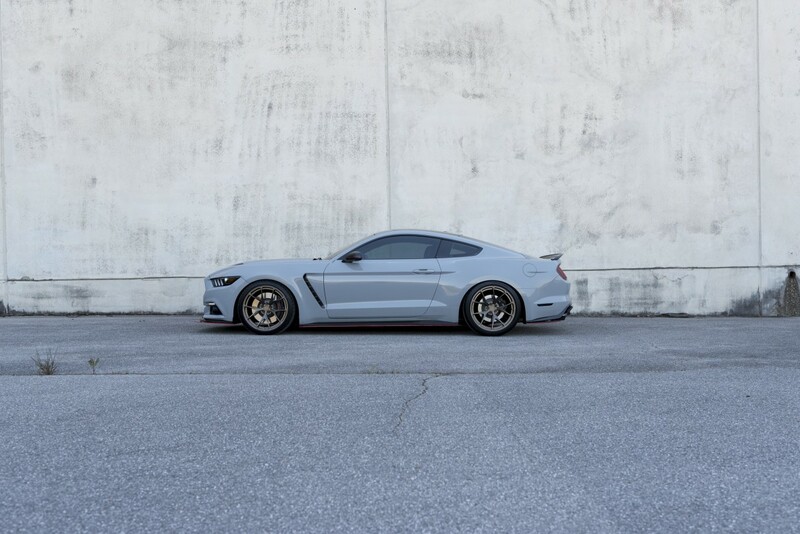 He will be sporting a set of SV501 here soon, and he is the first Grabber Blue mustang we’ve had the pleasure of building a set of wheels before. Below is one of our very first sets of SV501 that have been completed, followed by pictures of his car. 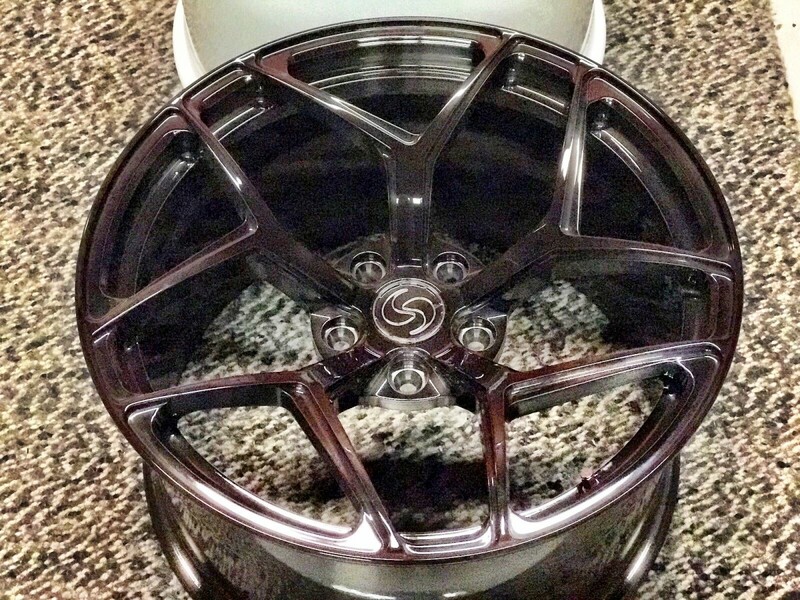 These wheels are not his, but I really look forward to seeing his review of them since he is a very meticulous guy. In any case, Congratulations Les! 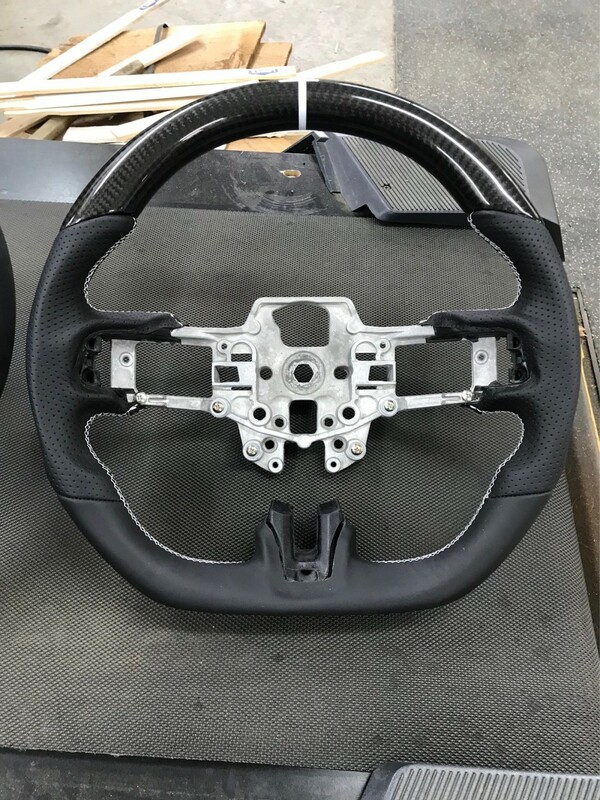 On a side note we also had one of our custom DCT Motor Sports RS550 carbon fiber steering wheels installed by a customer. 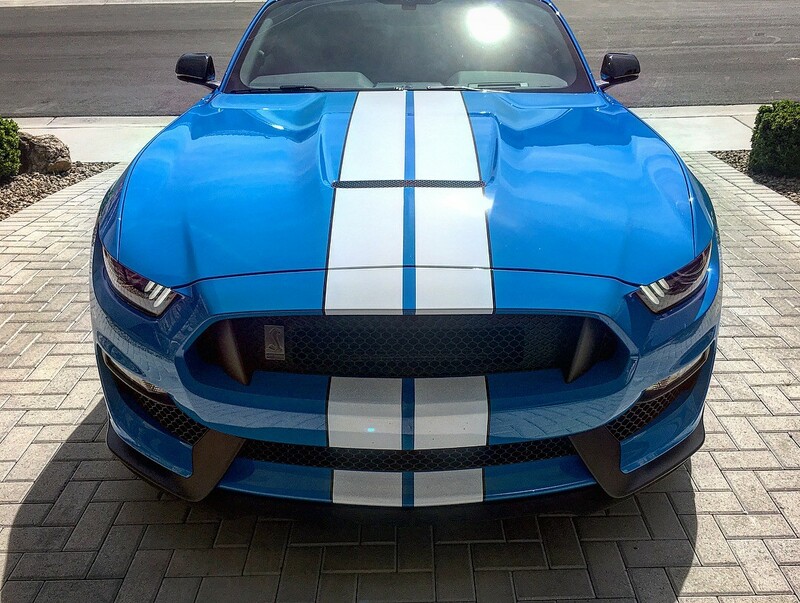 This was a white stitching and white center stripe option from our group buy that passed quality control inspection, but was not a configuration ordered by anyone. I have to say, it looks good. 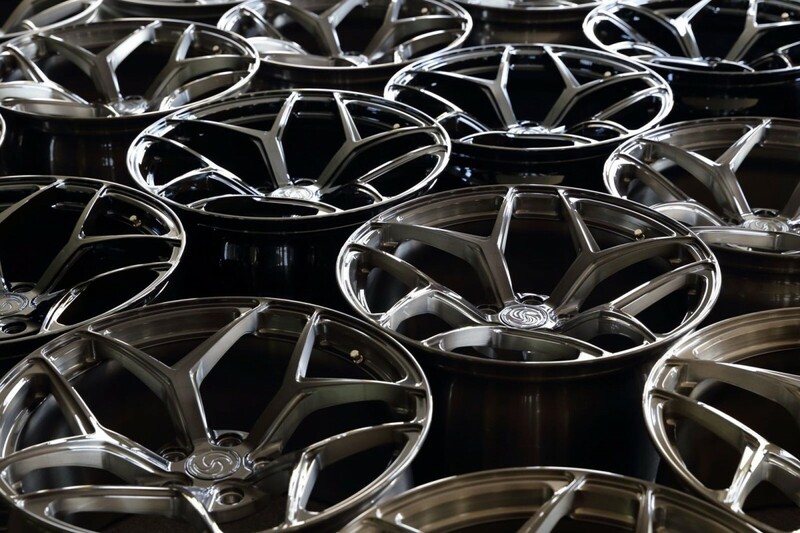 We have all the wheels you need! The future is looking bright for 2018. 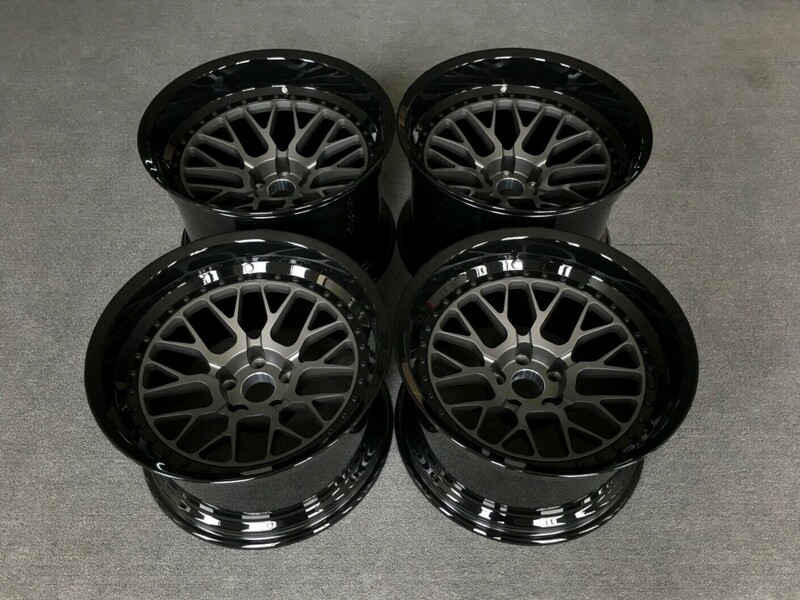 We have a new wheel design in the works that I think all of you will love, and I may end up debuting on my car here soon depending on how things go. I am still on the hunt for the member ready to debut our SV102, SV103, SV105, and SV107. I know money is tight around the holidays, but Santa is looking to bring you a deliver in 5-7 weeks. 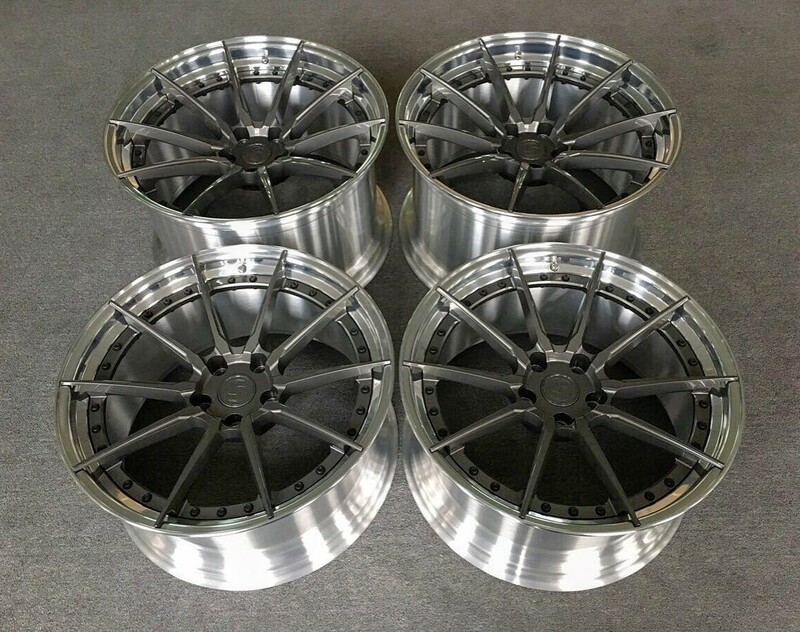 If any of those profiles interest you let me know, looking to work some amazing pricing for the first person to order a set from each wheel profile. 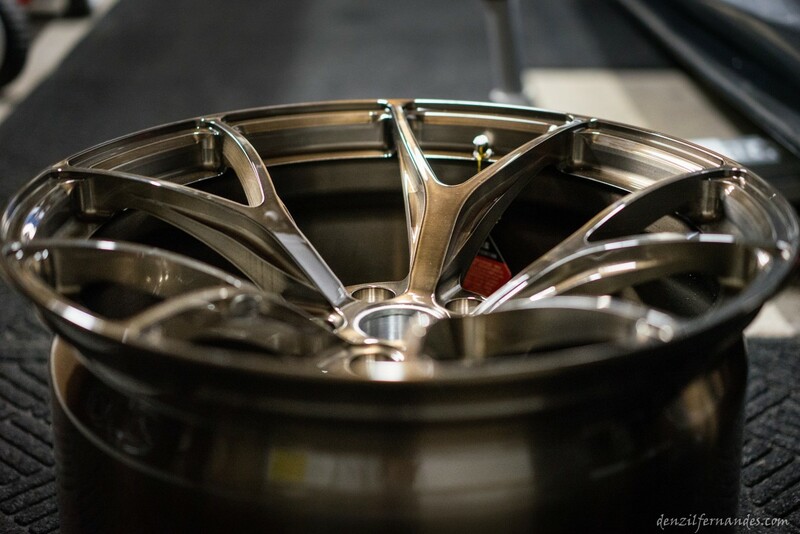 Signature Wheel - Built by us, made for you!